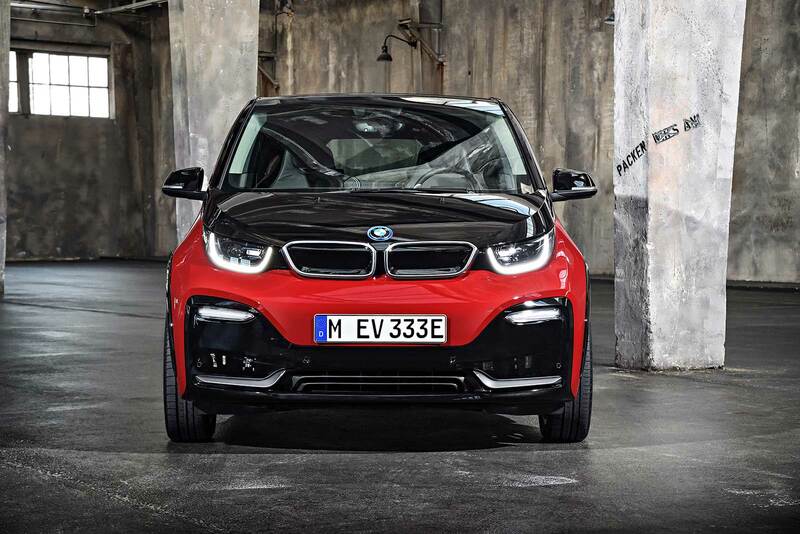 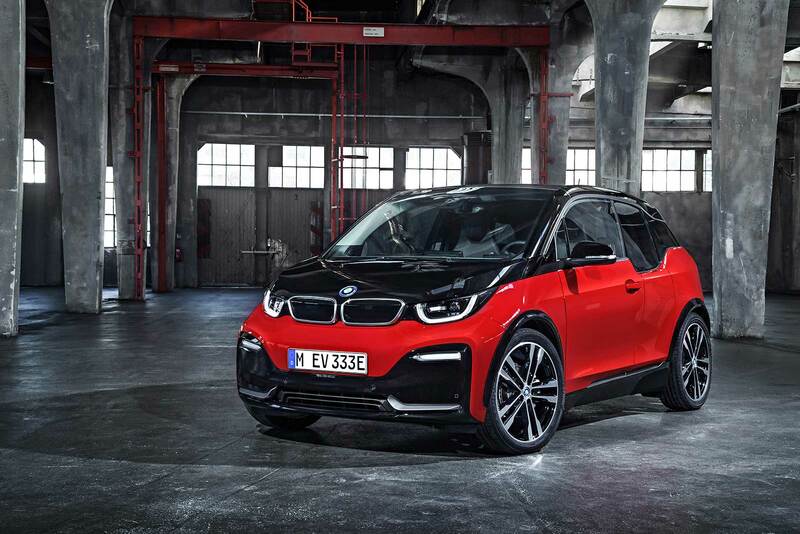 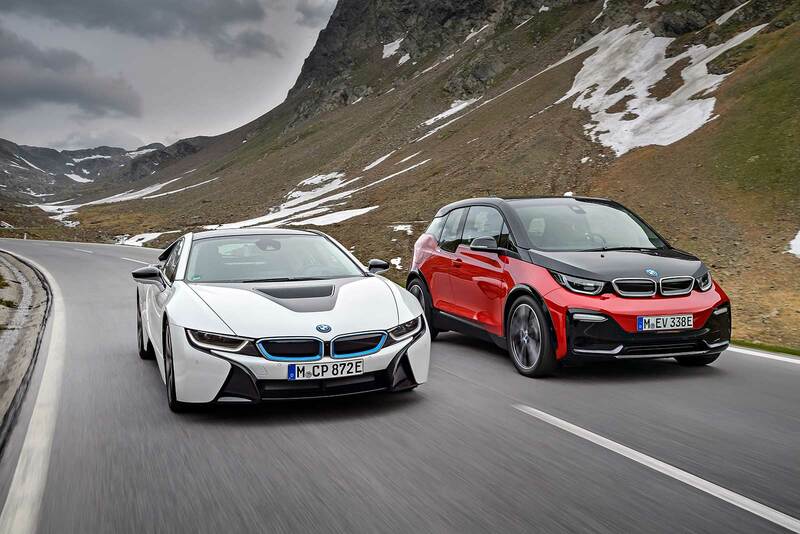 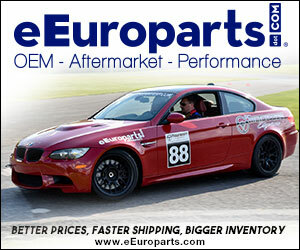 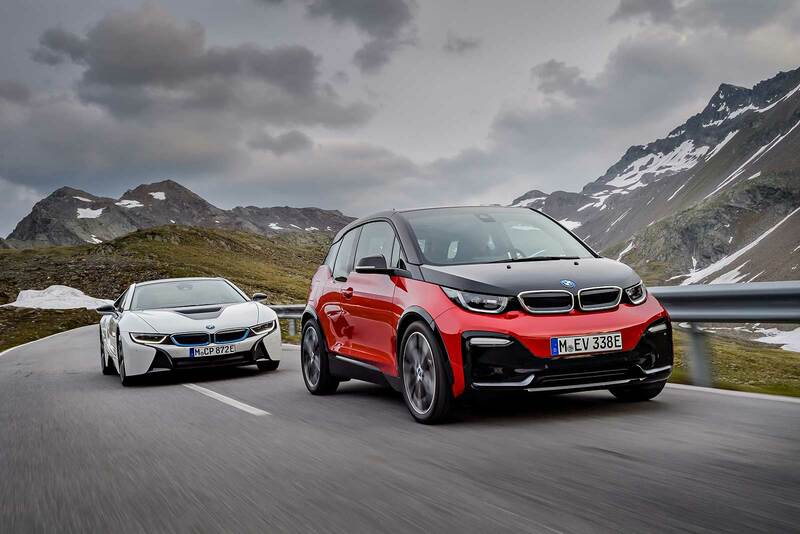 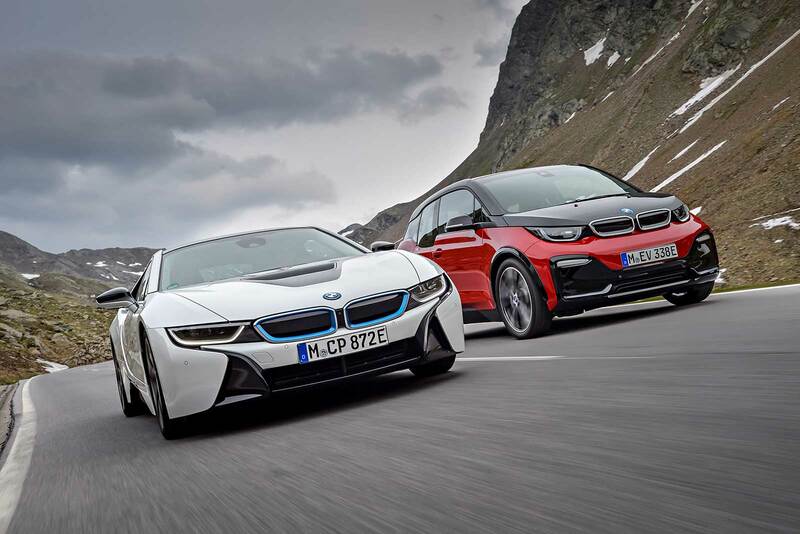 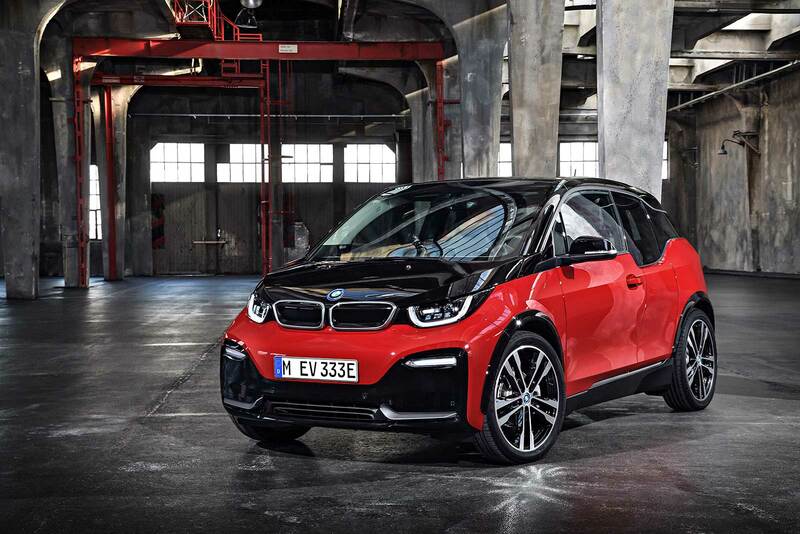 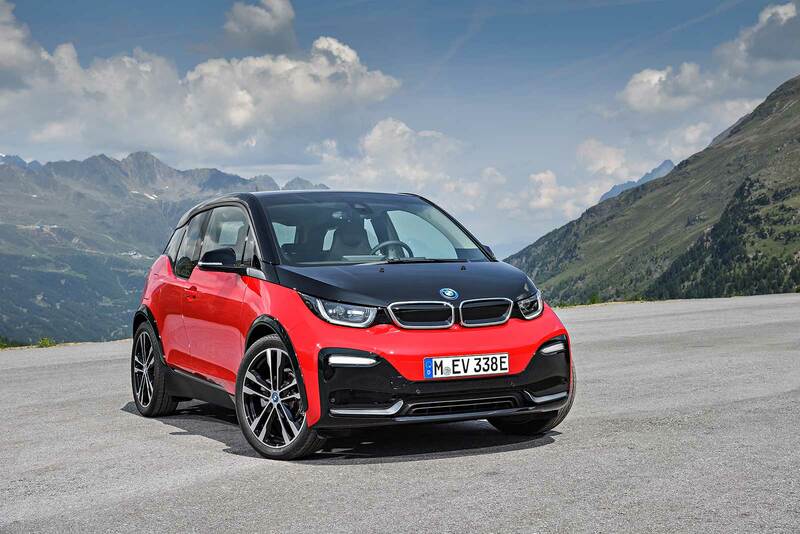 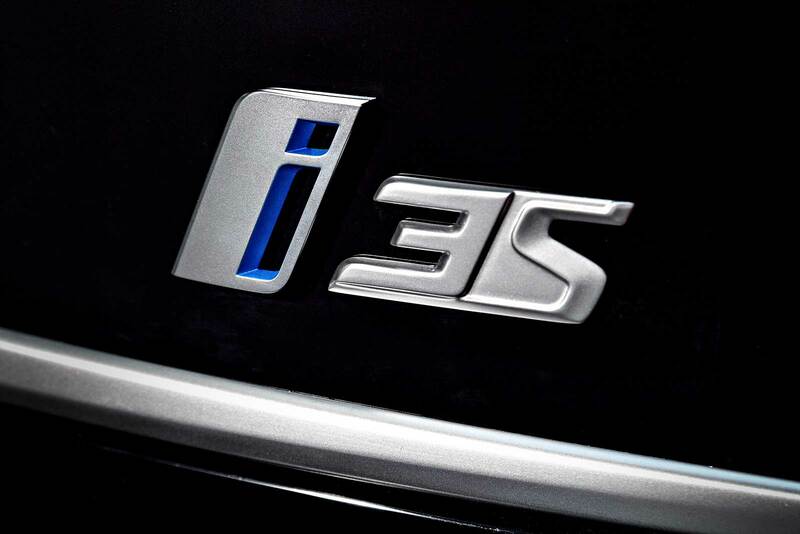 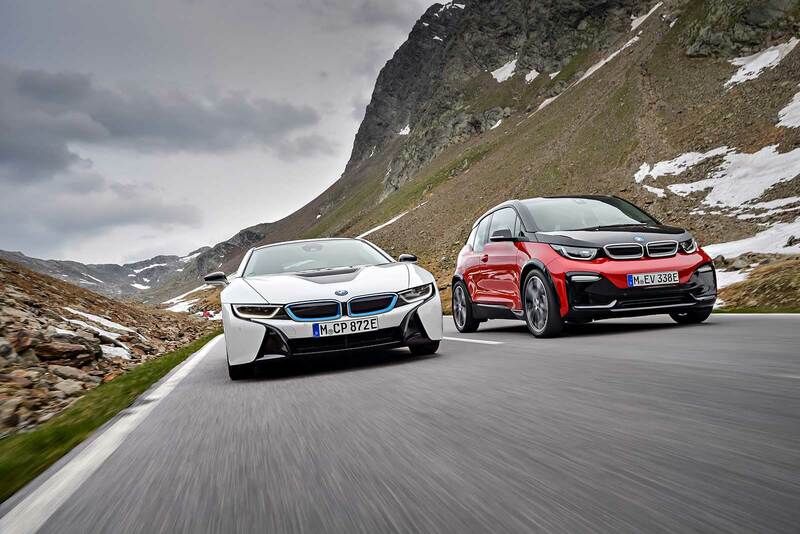 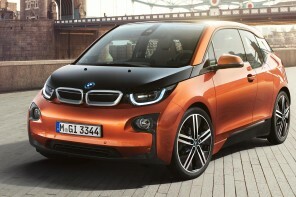 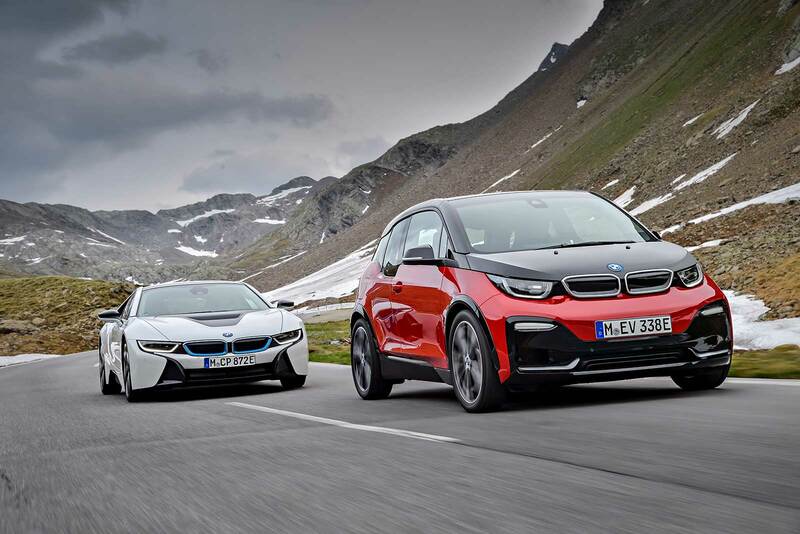 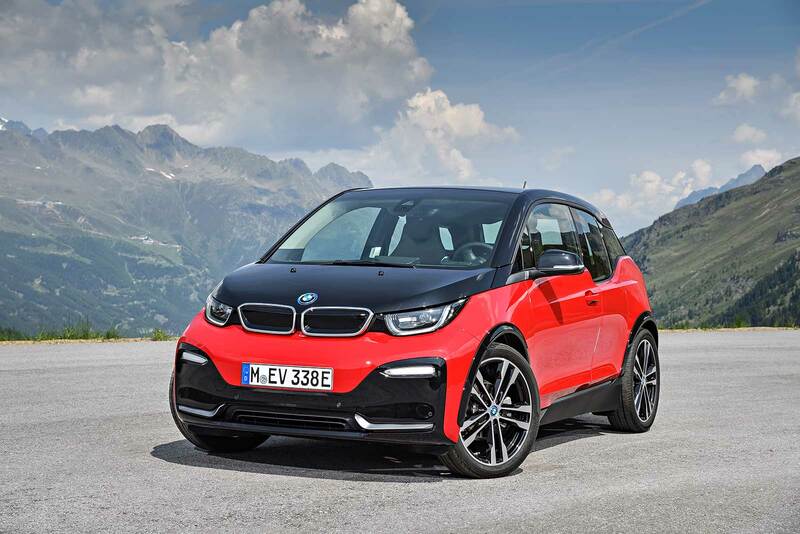 BMW has brought the sport to BMW i3 in a big way. 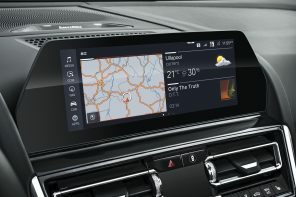 We’ll get to the visual updates in a second. 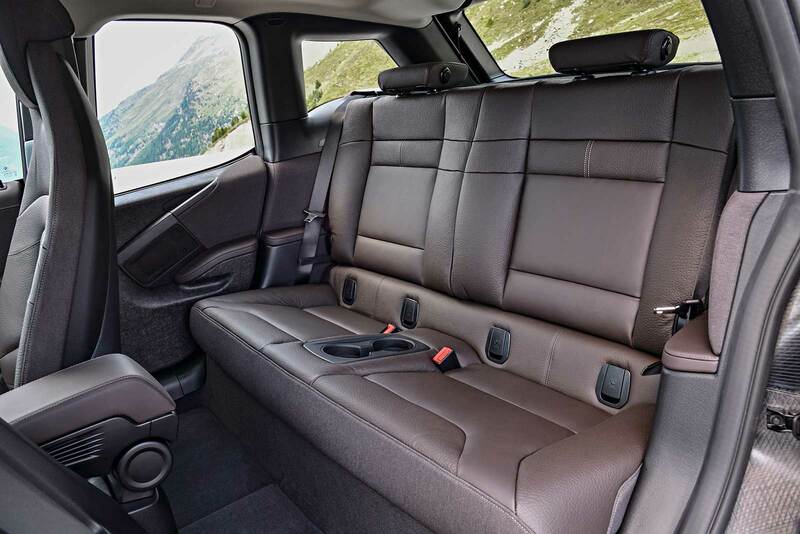 But first lets get to the important stuff. 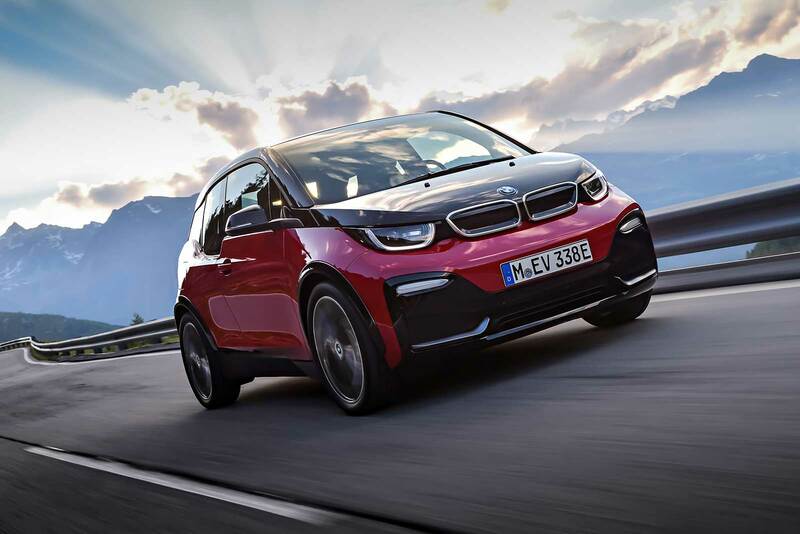 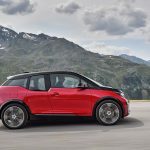 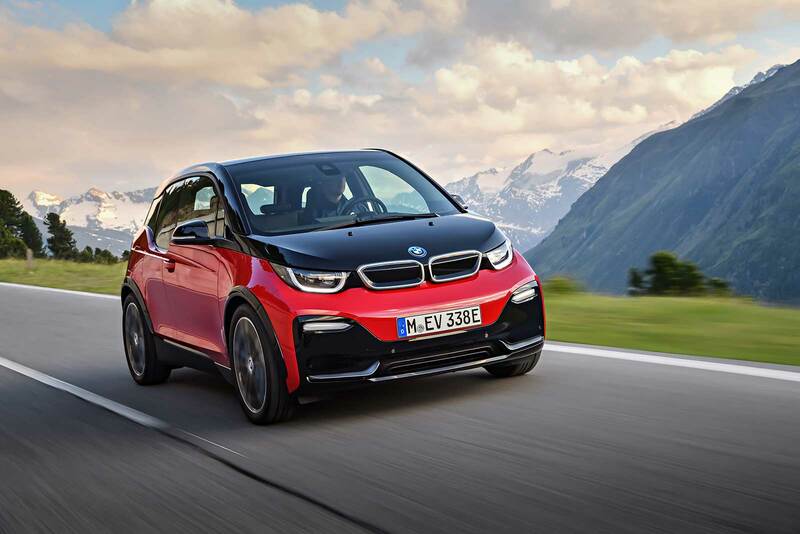 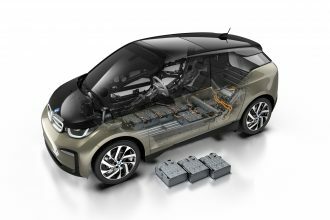 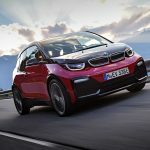 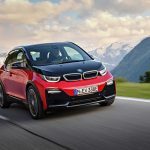 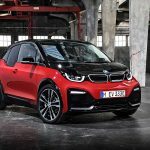 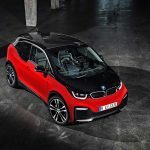 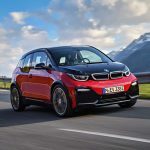 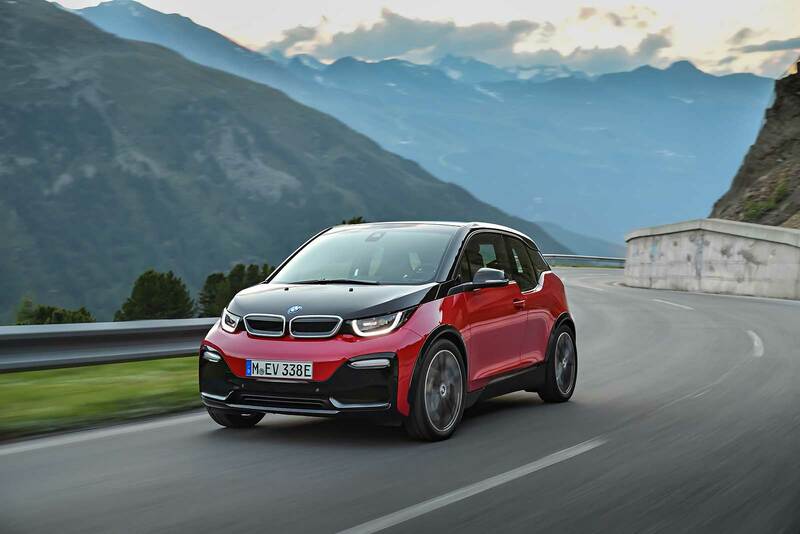 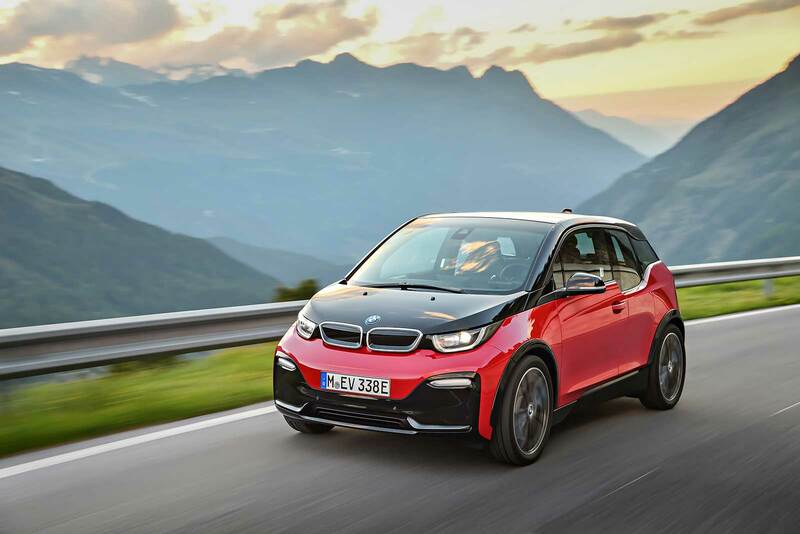 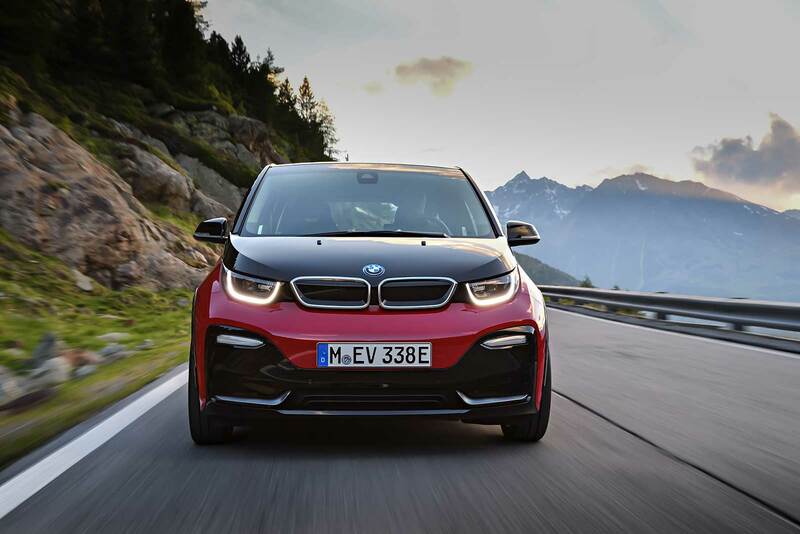 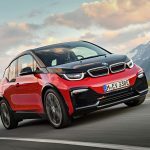 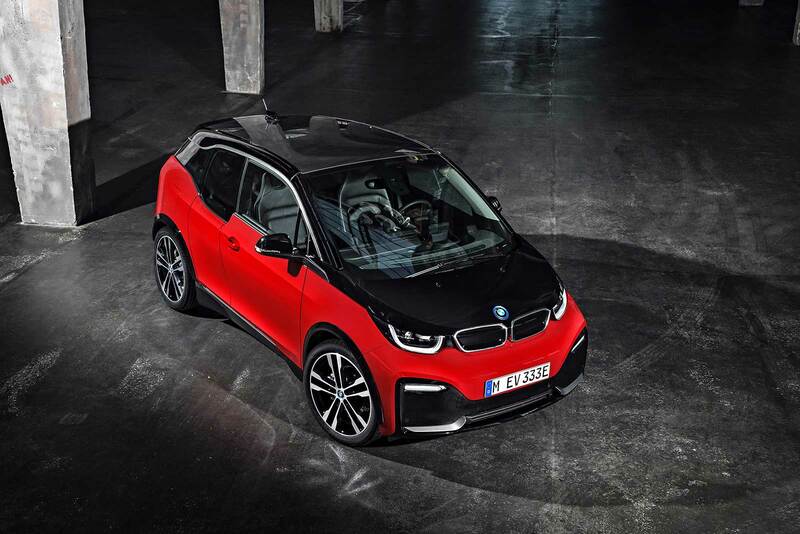 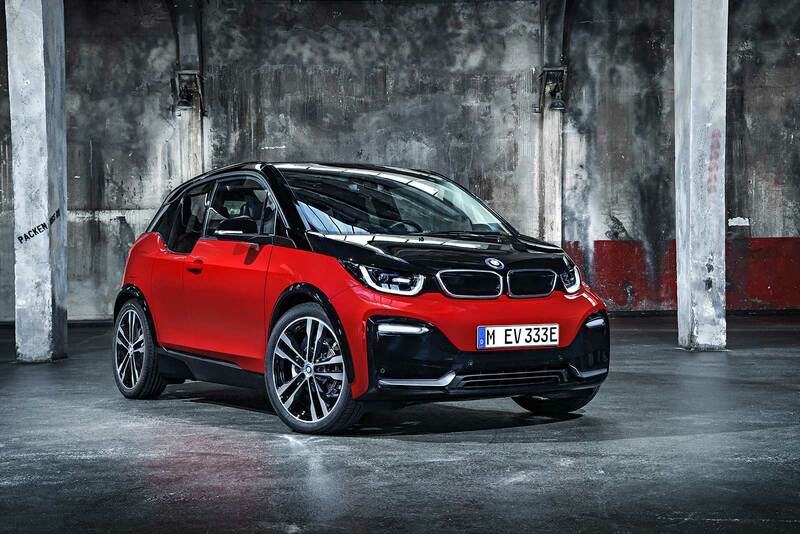 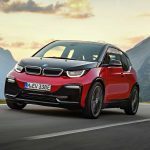 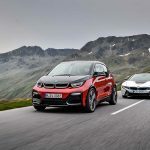 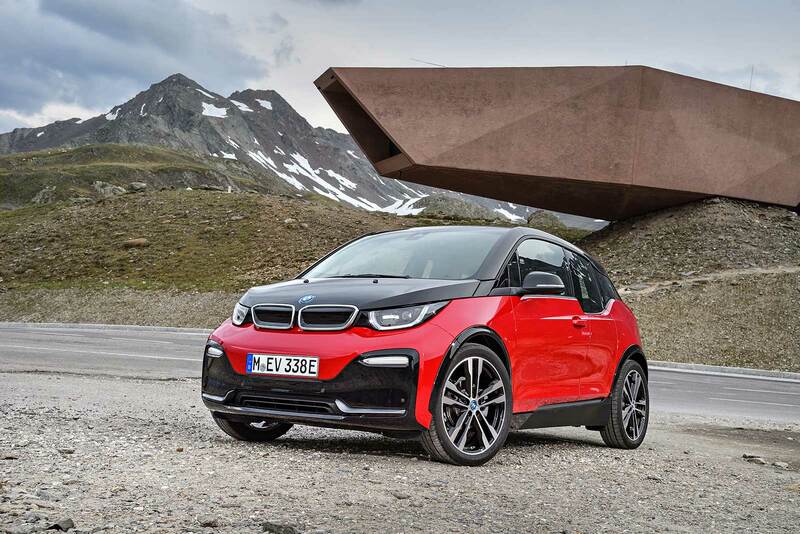 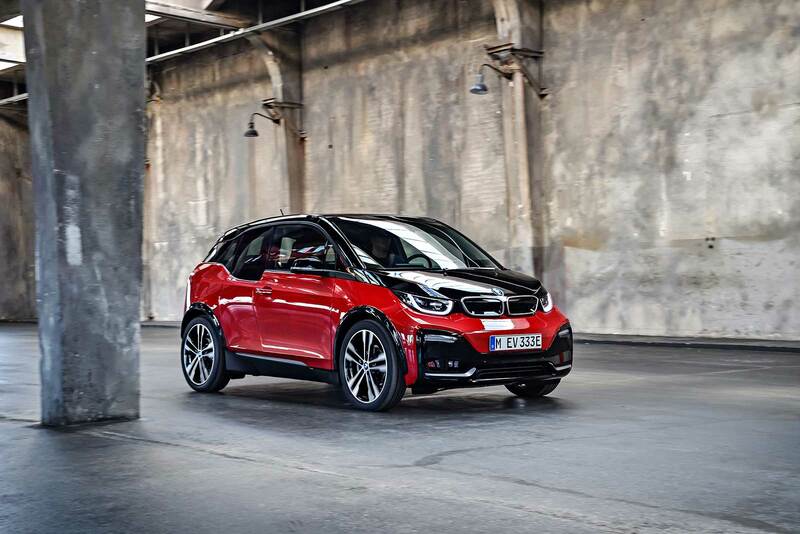 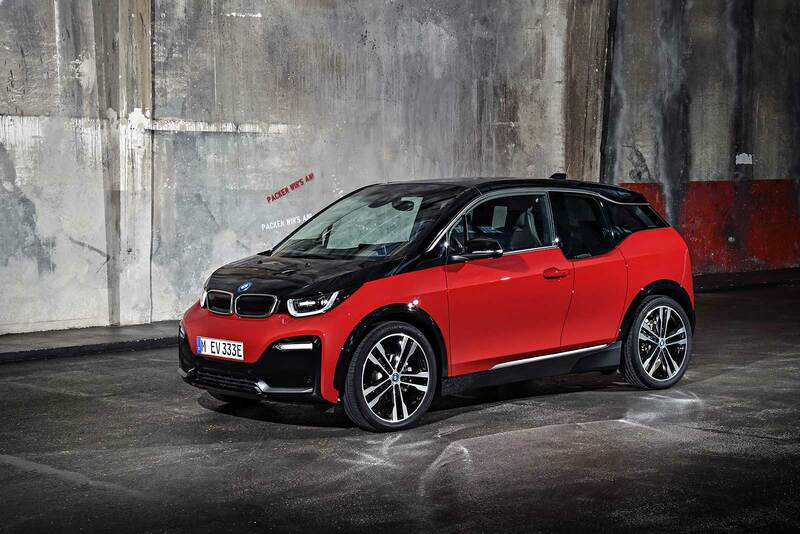 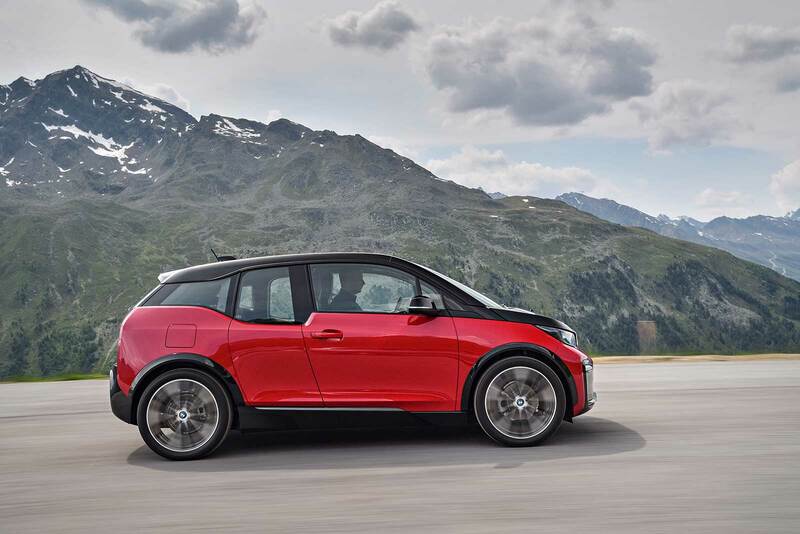 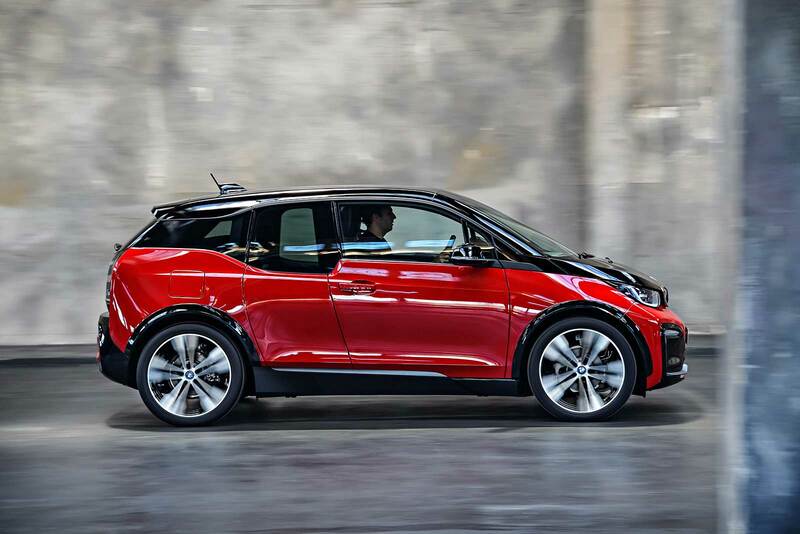 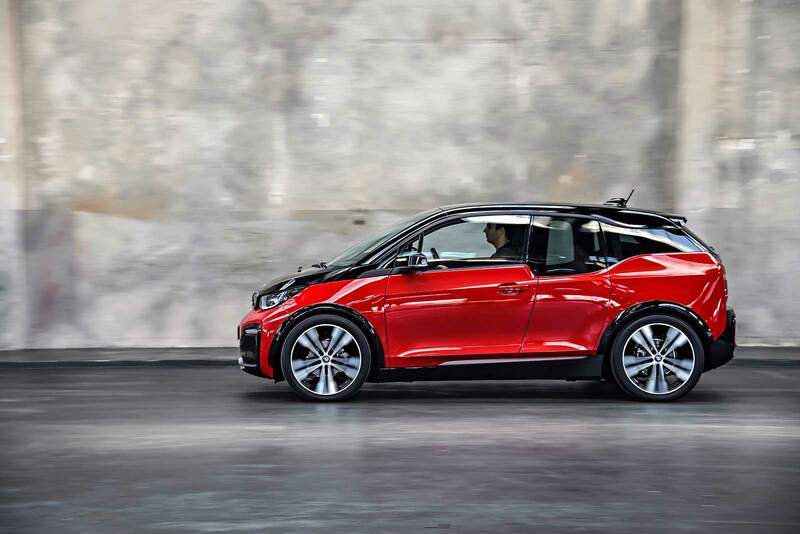 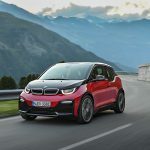 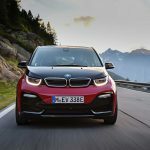 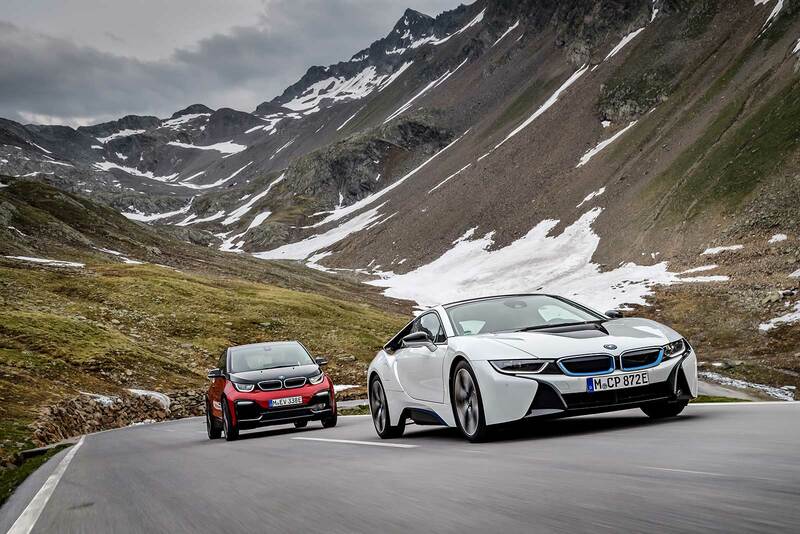 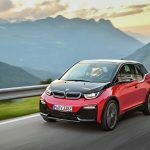 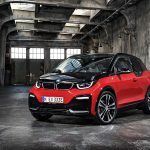 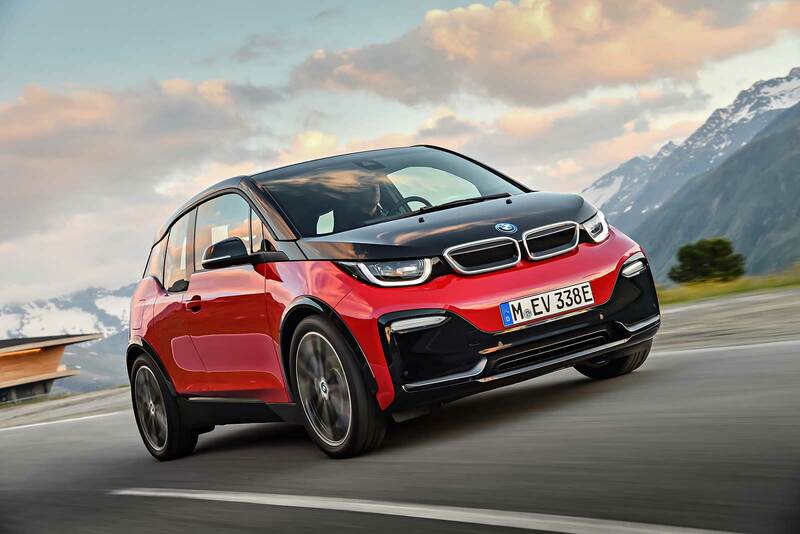 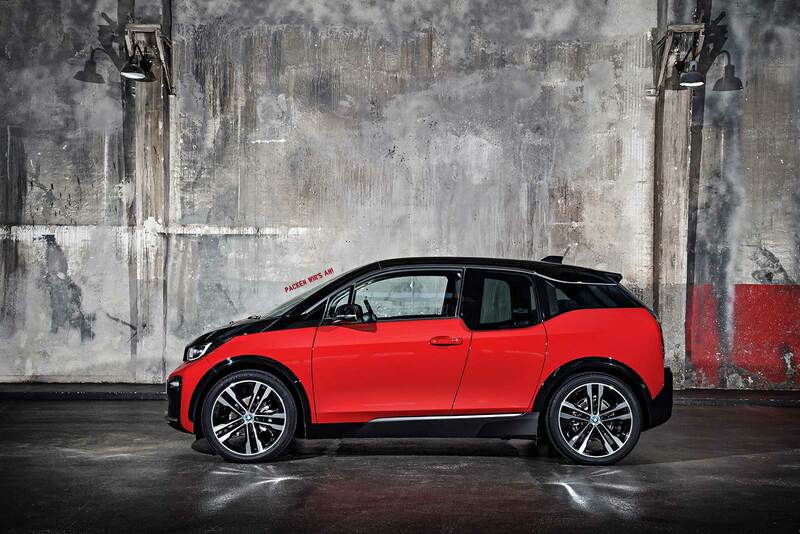 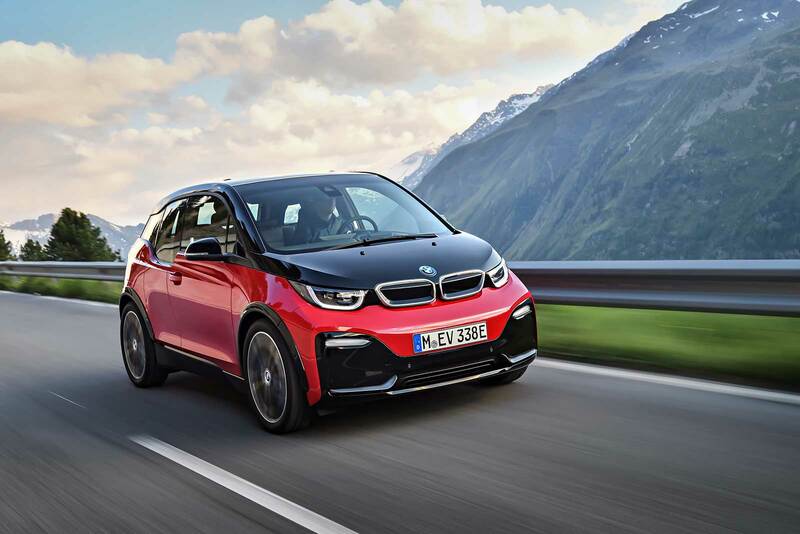 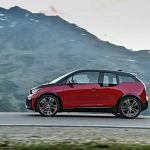 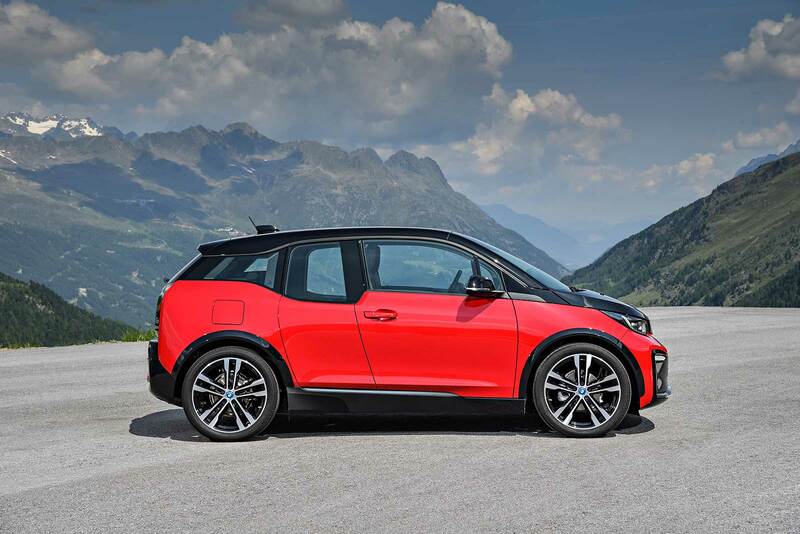 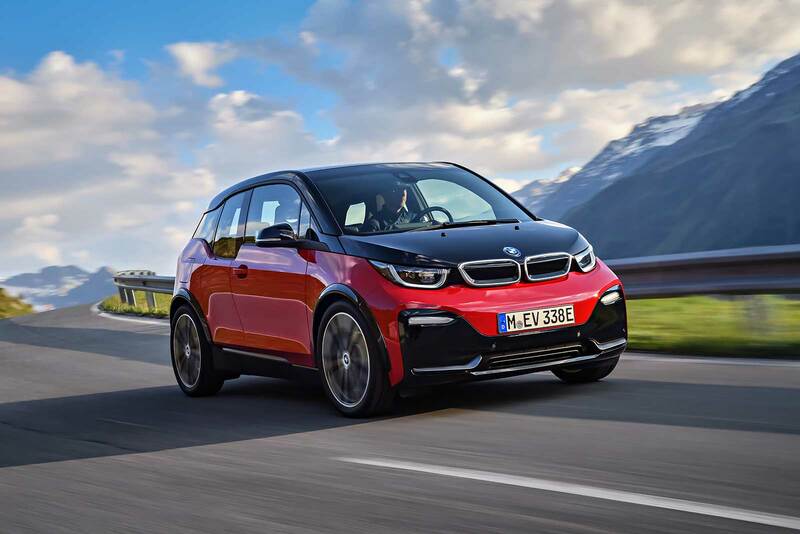 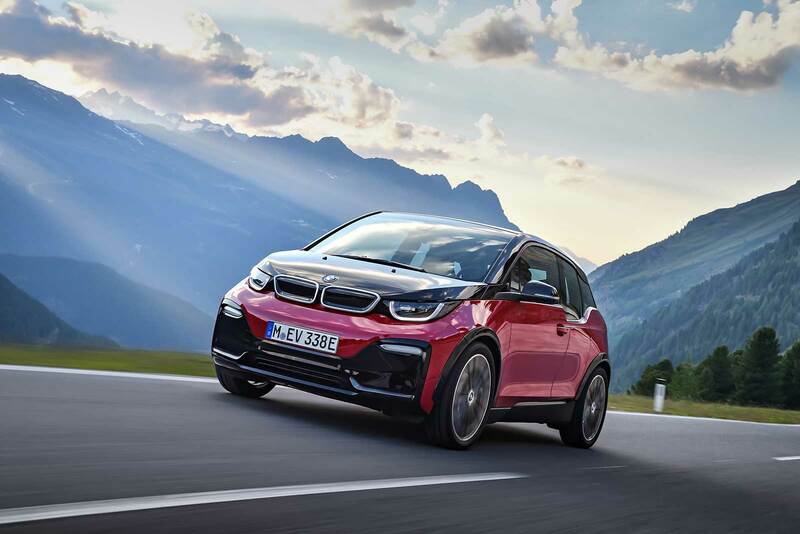 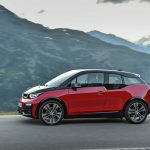 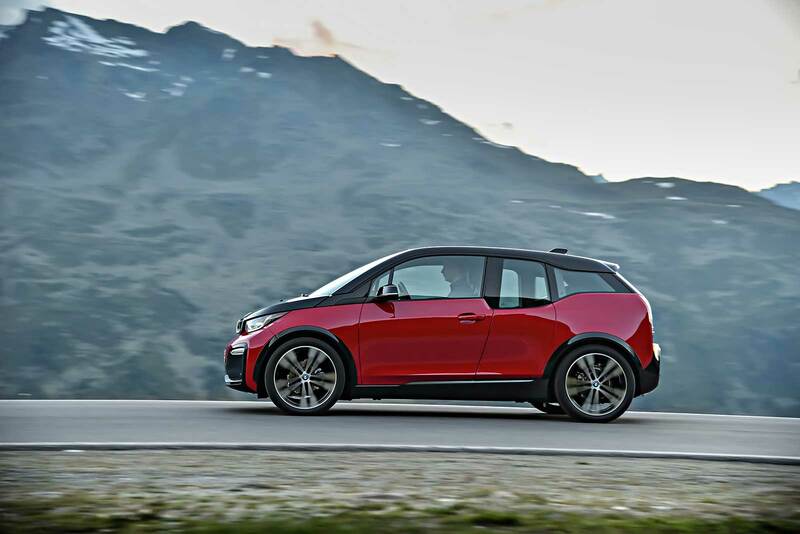 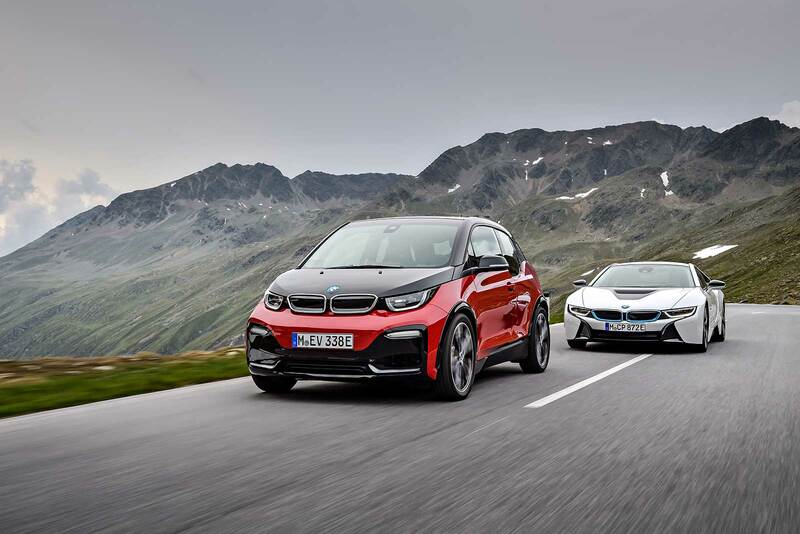 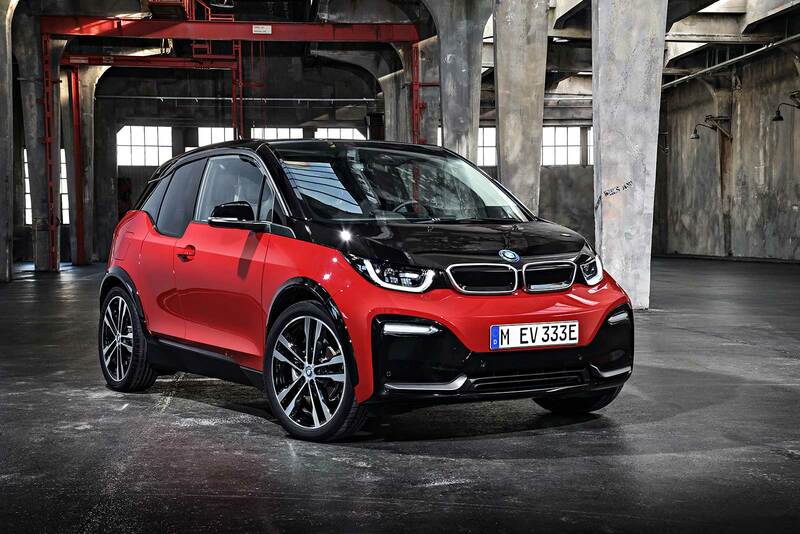 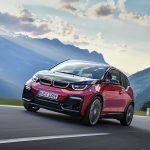 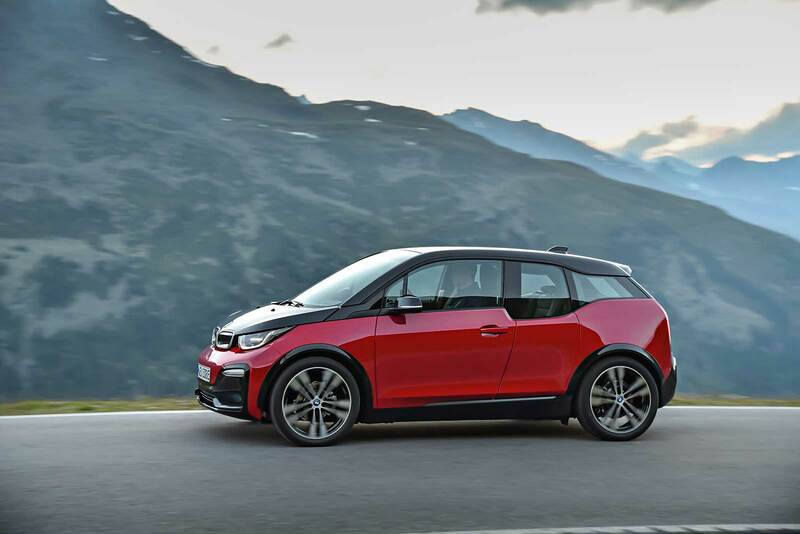 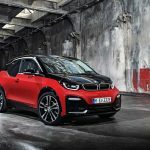 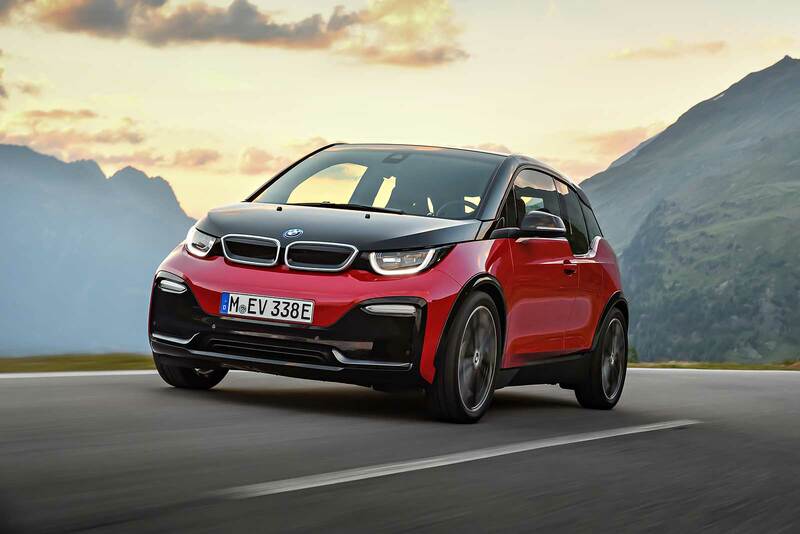 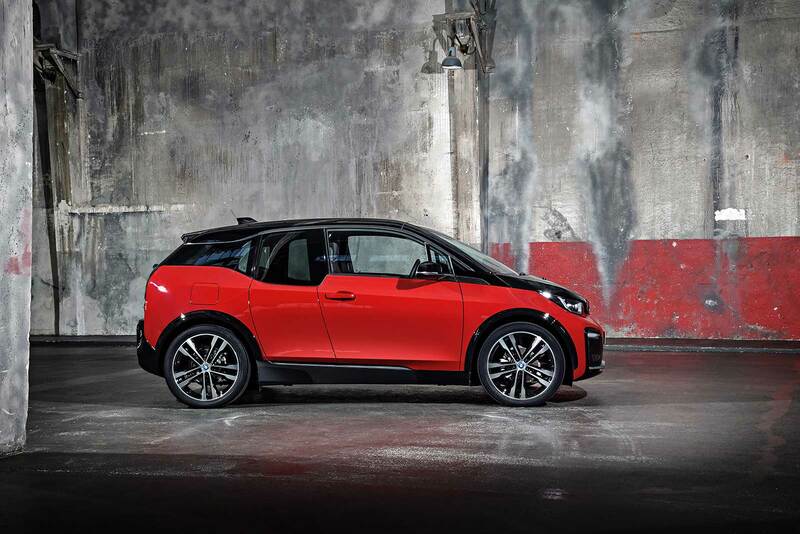 The new BMW i3s comes equipped as standard with sports suspension that includes a 10-millimetre drop in ride height. 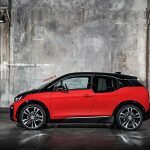 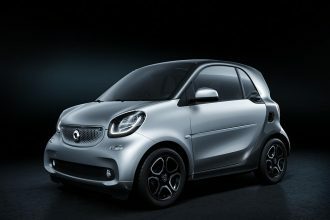 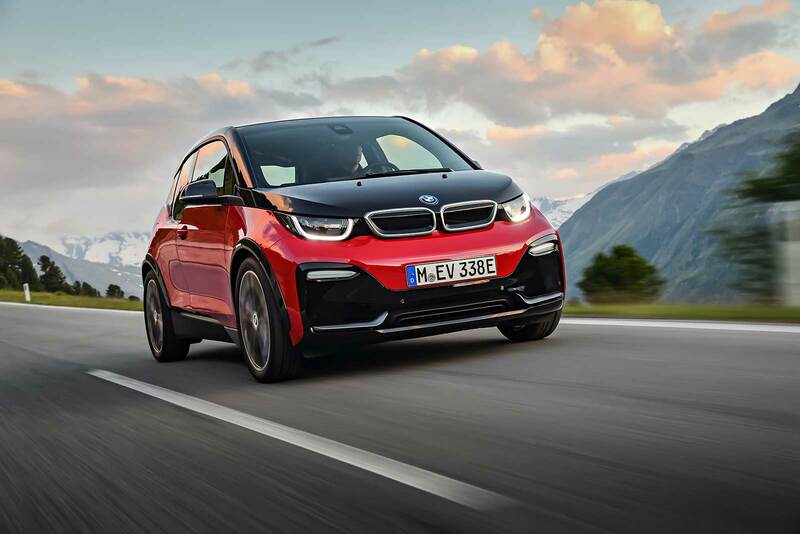 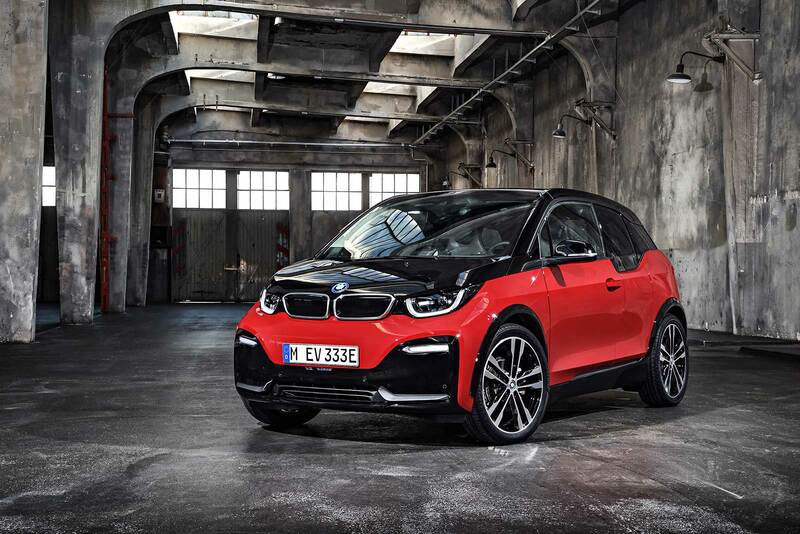 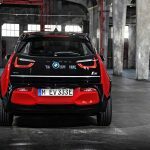 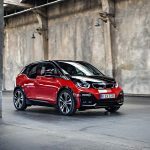 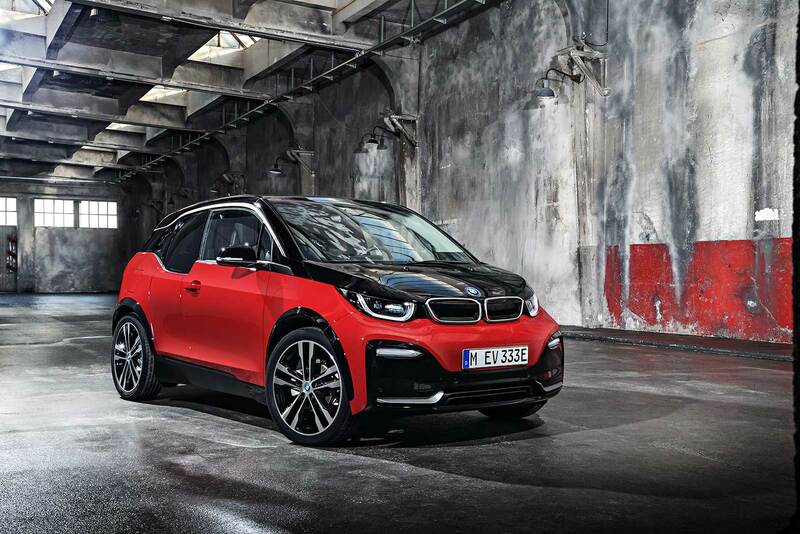 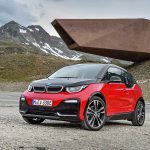 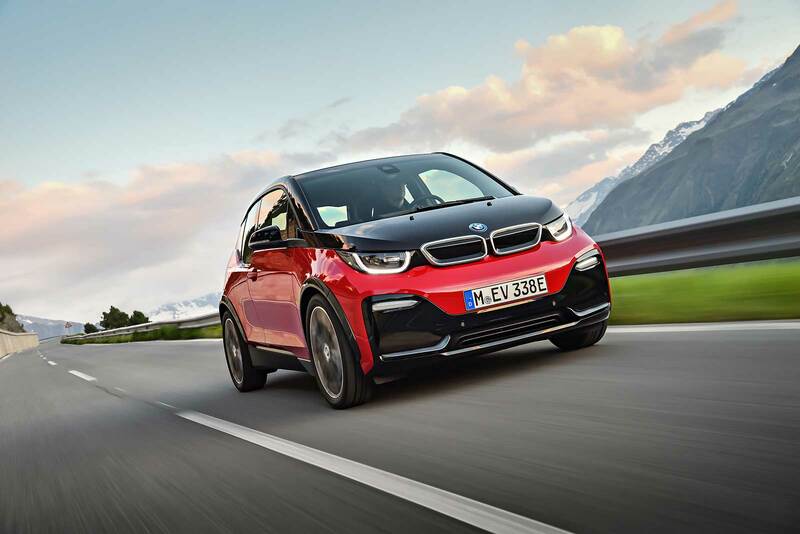 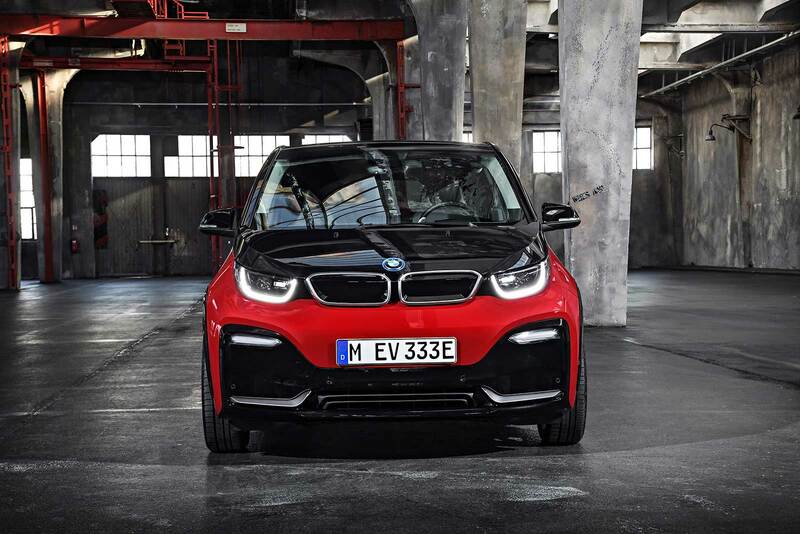 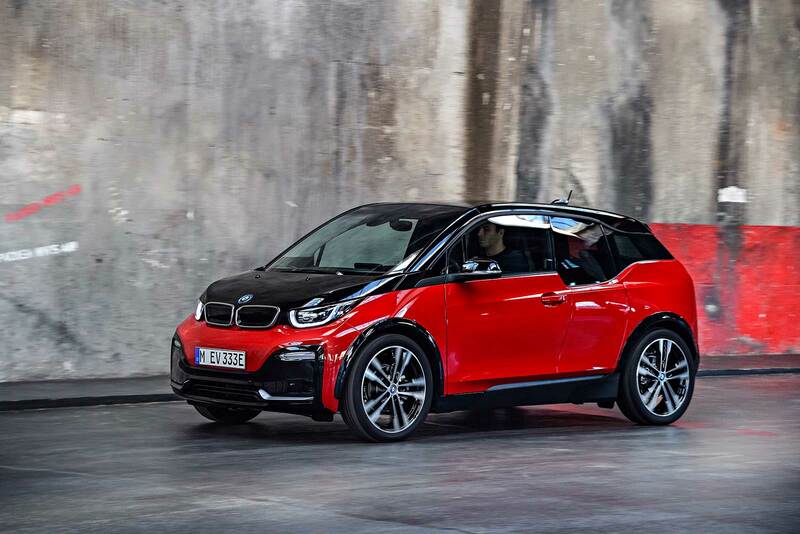 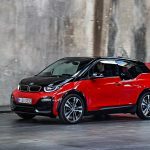 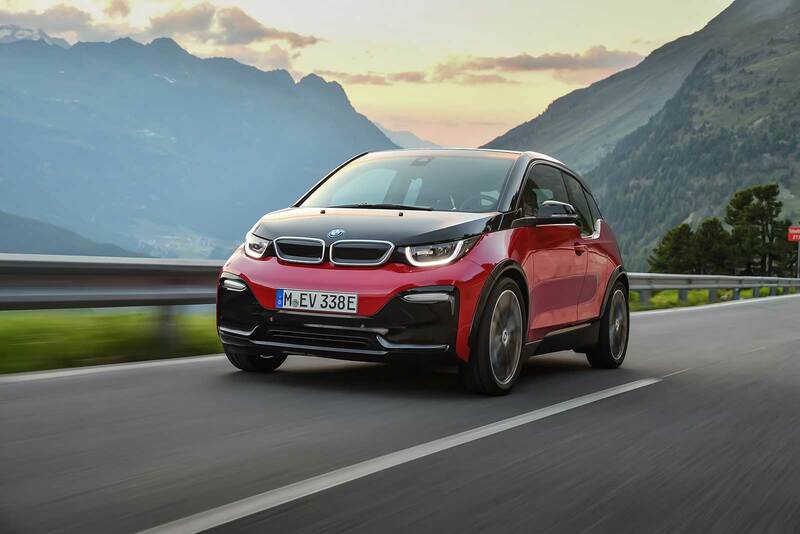 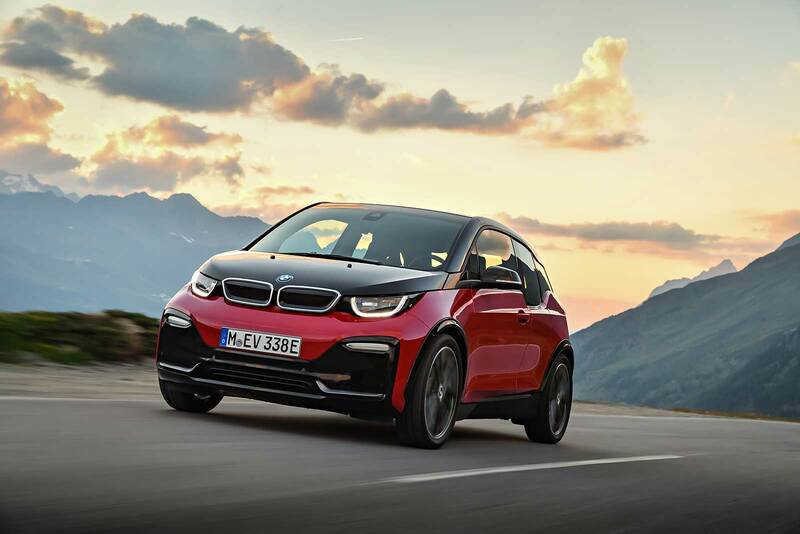 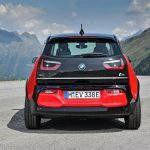 The additional 40 millimetres of track width compared to the BMW i3 is given added impact by the black wheel arch borders. 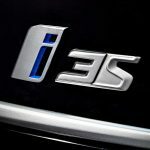 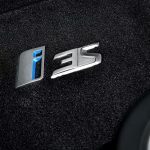 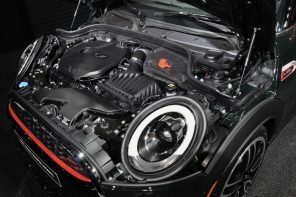 Under the hood (so to speak) the i3s is developing 181bhp and 199lb ft of torque, 13bhp and 15lb ft more than standard version of the facelifted i3, which still produces 168bhp and 184lb ft. 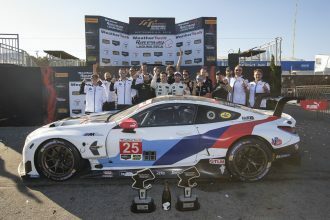 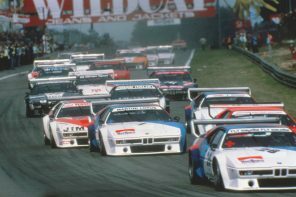 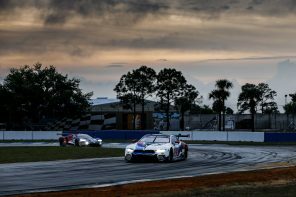 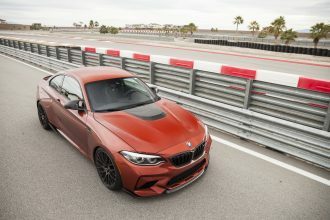 The result is a 0-62 time of 6.9 seconds (vs 7.2) and a 20 KG weight penalty (due to the new suspension and wheels). 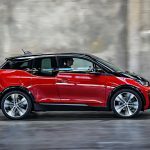 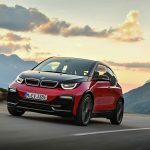 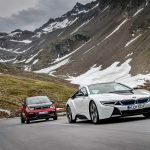 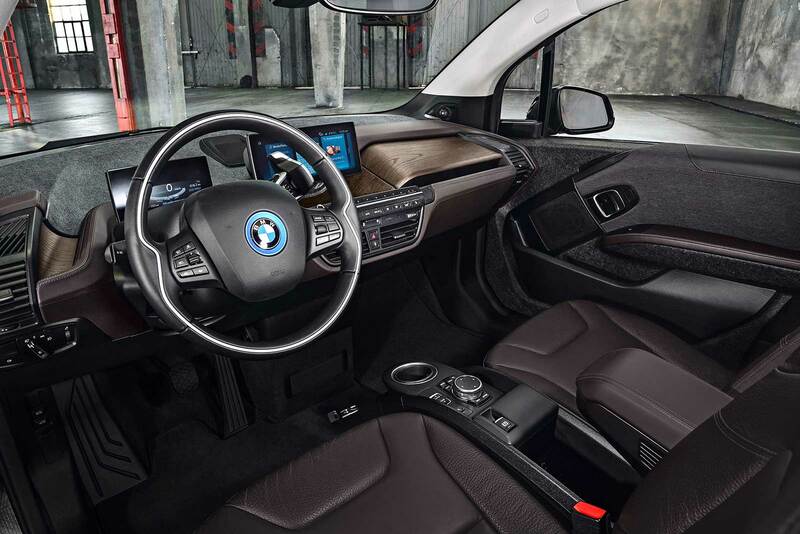 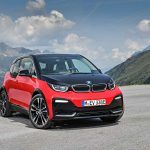 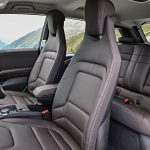 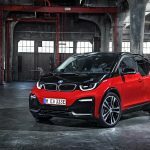 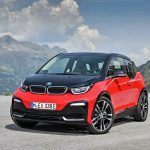 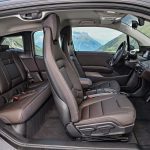 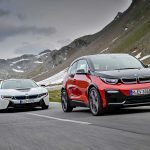 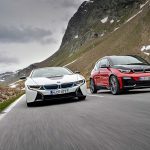 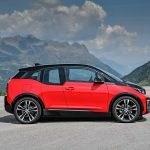 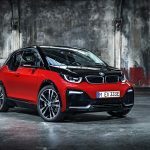 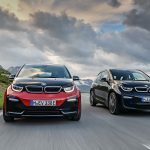 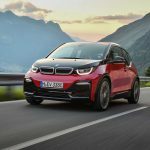 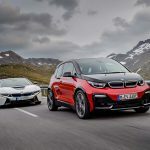 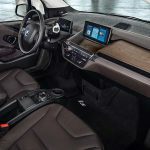 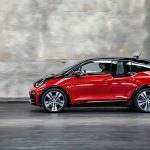 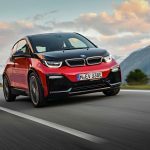 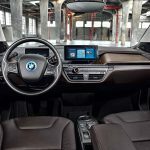 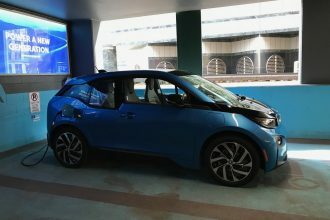 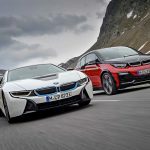 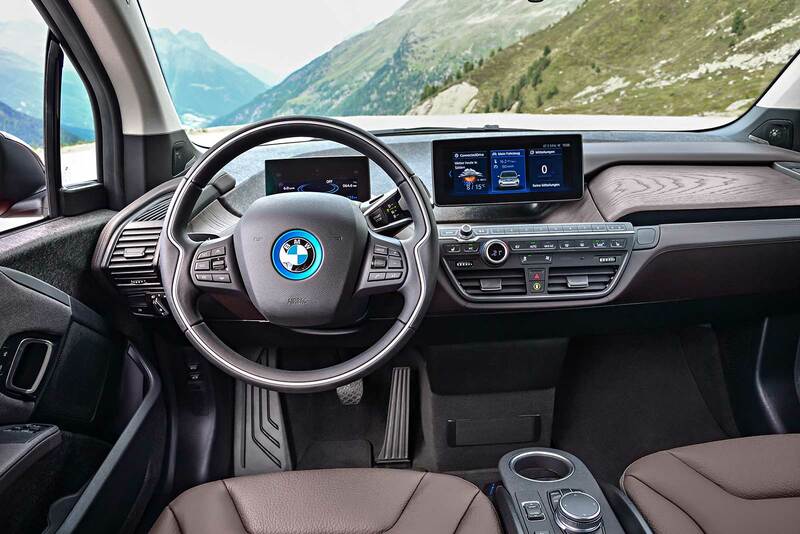 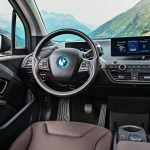 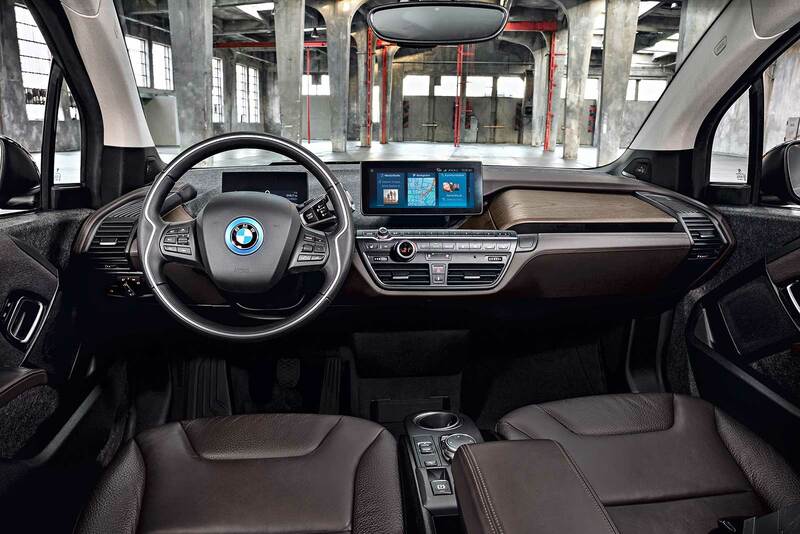 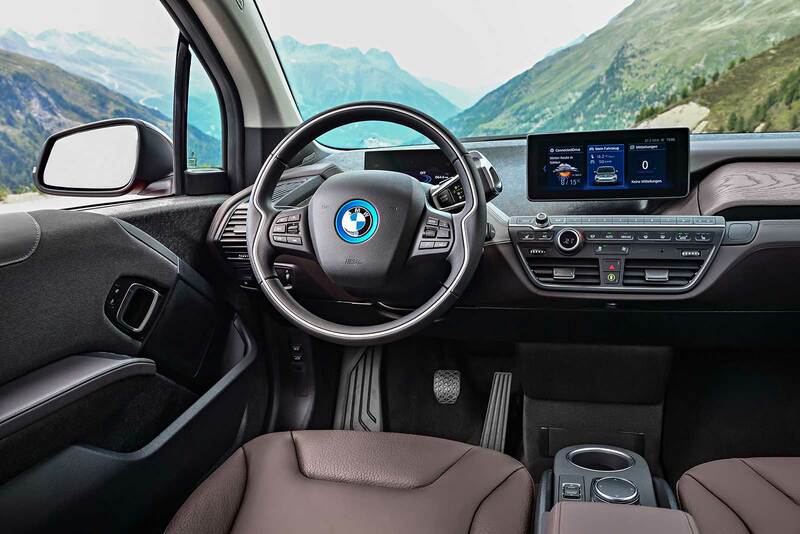 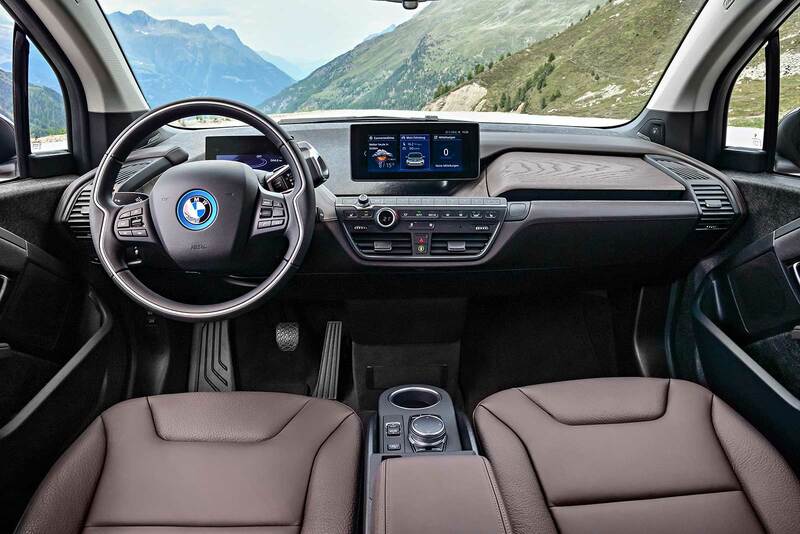 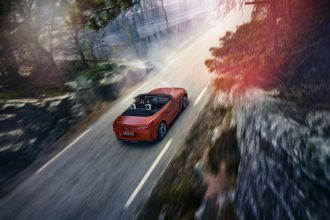 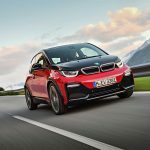 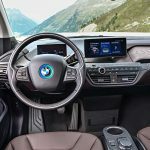 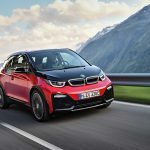 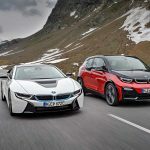 Visually BMWi has given the i3s exclusive 20-inch light-alloy wheels in double-spoke design that are 20 millimetres wider than the previously available versions. 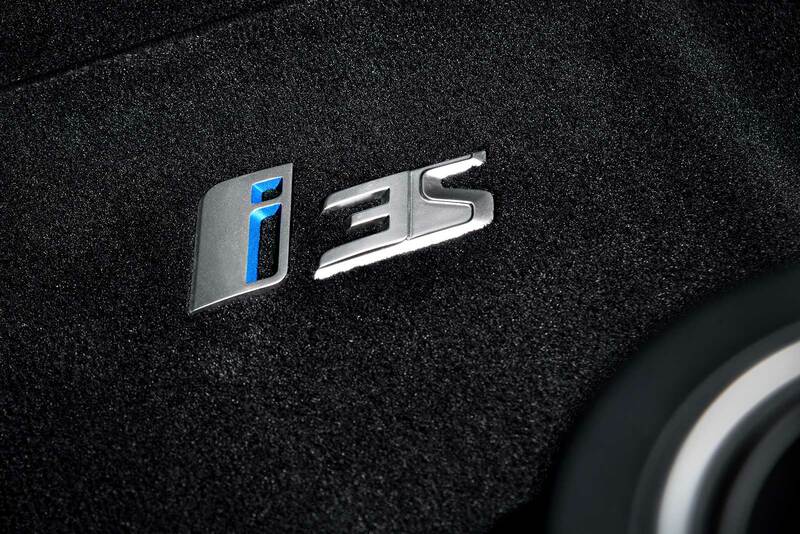 They can be ordered in the Bicolour and Jet Black colour variants. 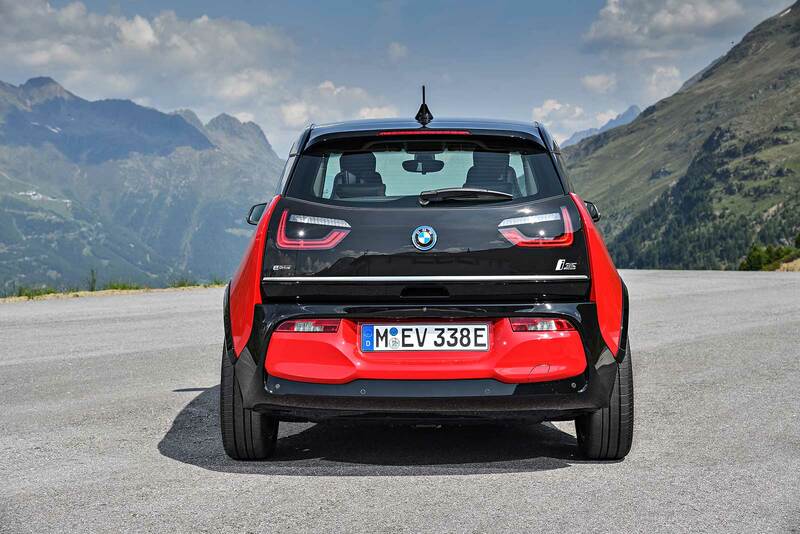 BMWi has visually changed the the i3 with revised front and rear aprons. 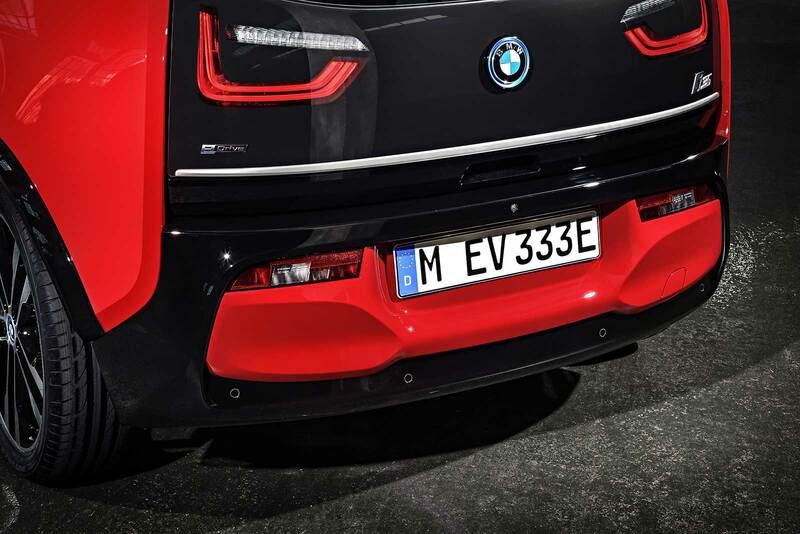 At the front, the bumper inlay as well as the U-shaped surround encircling it have a black finish. 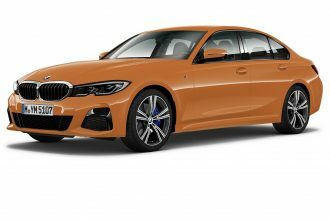 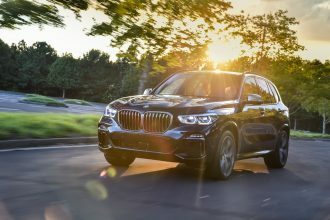 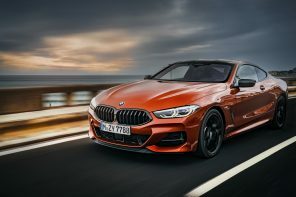 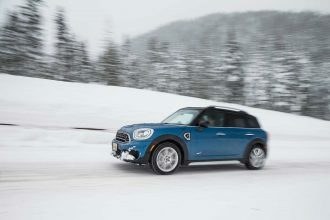 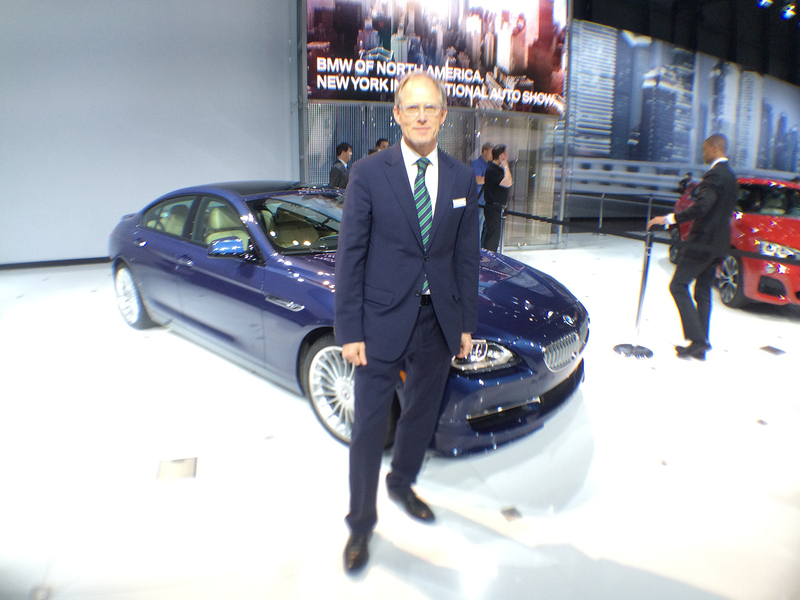 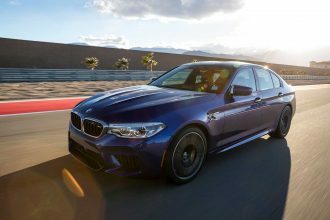 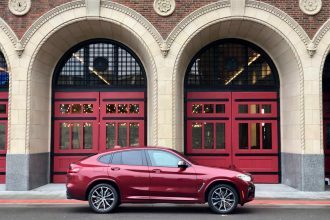 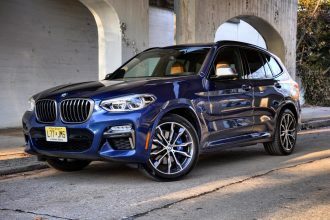 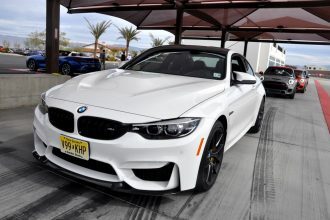 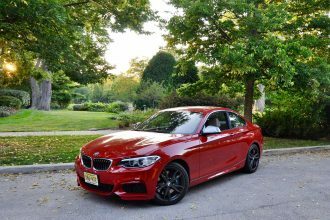 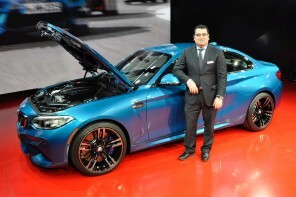 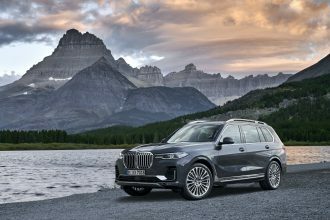 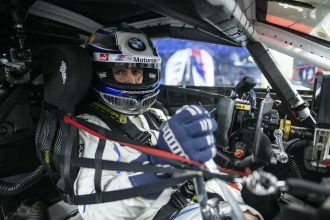 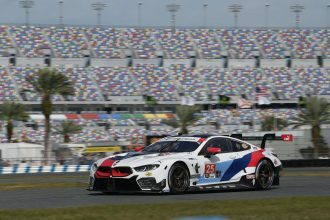 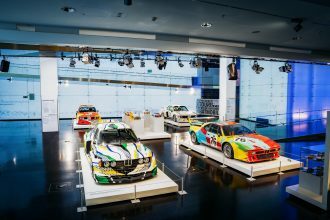 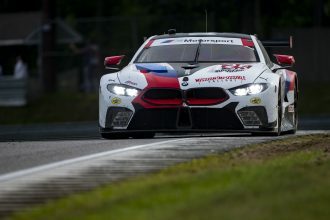 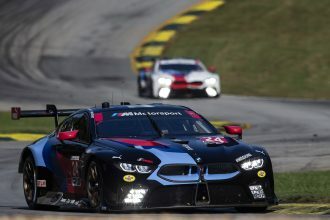 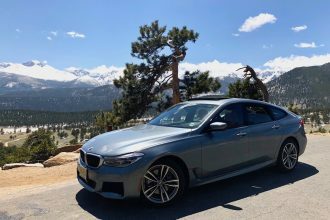 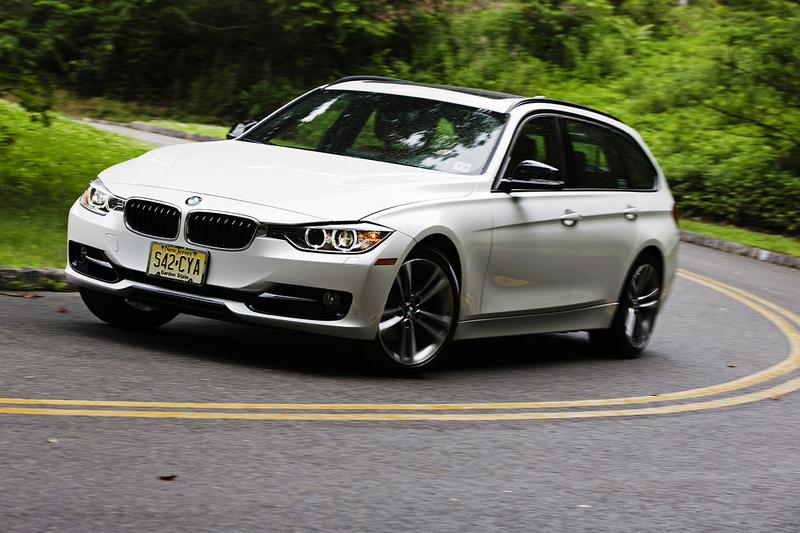 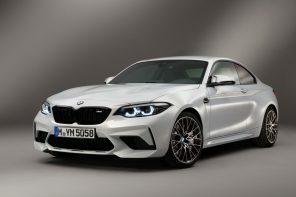 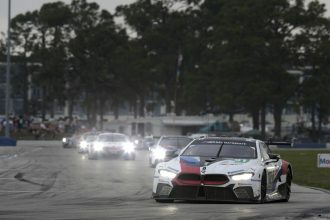 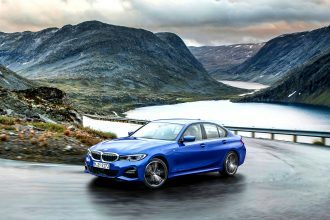 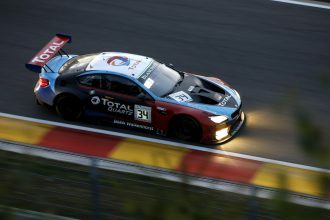 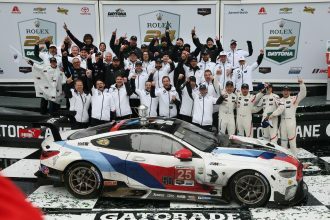 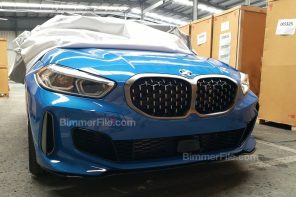 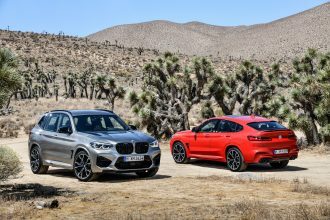 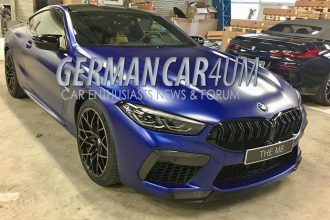 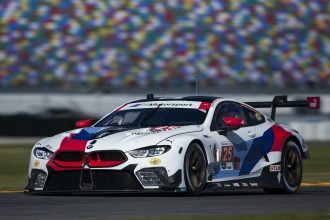 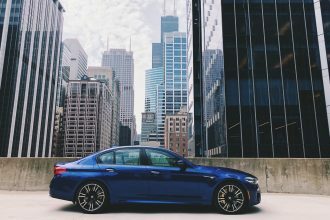 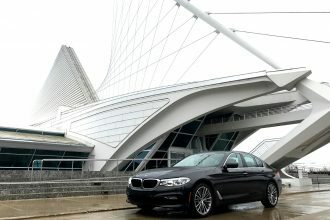 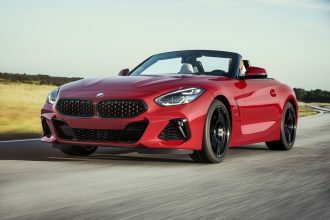 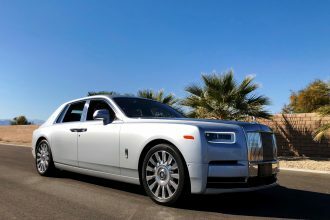 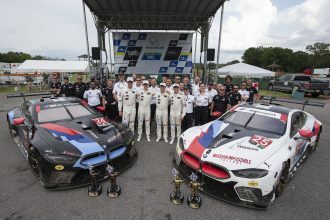 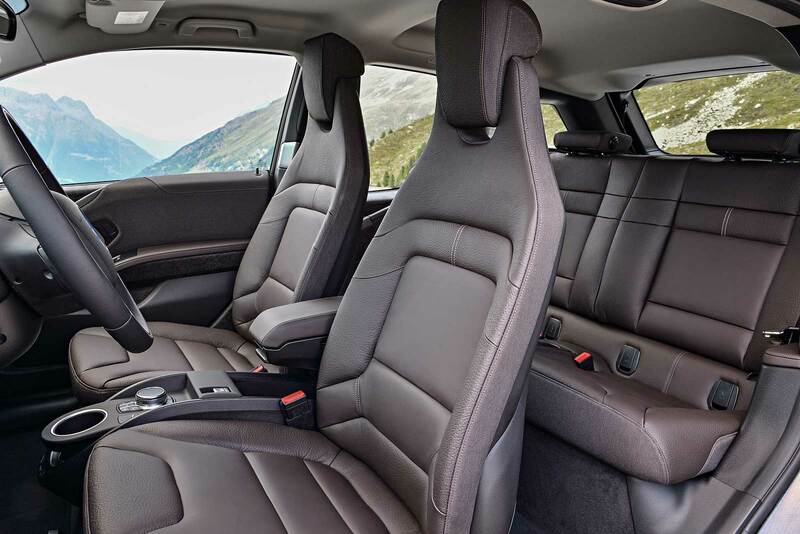 The front apron’s side sections are bordered on their lower edge by accent strips in BMW i Blue or Frozen Grey that further emphasise the width of the car. 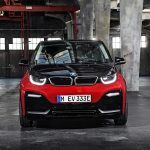 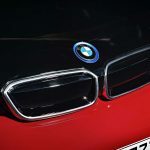 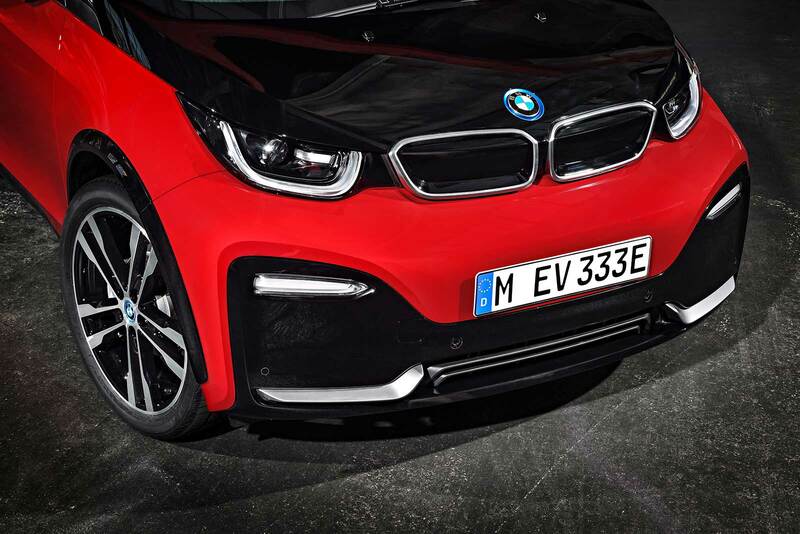 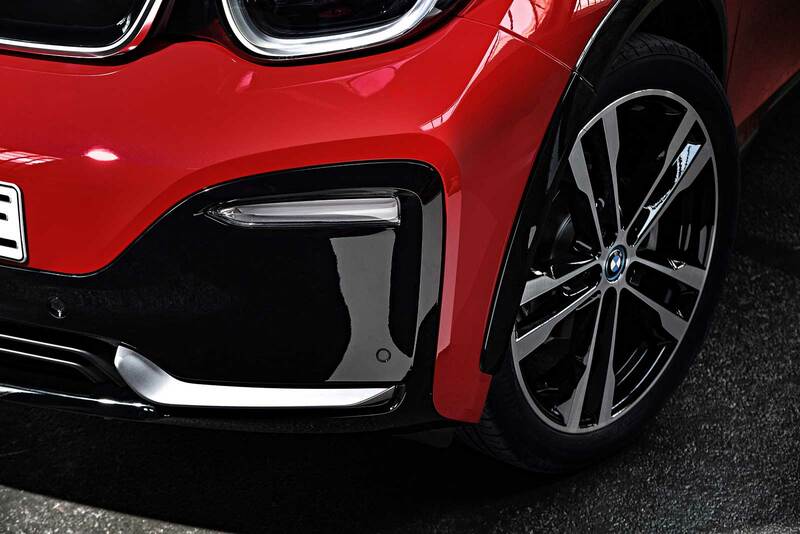 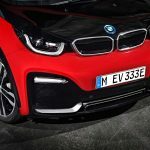 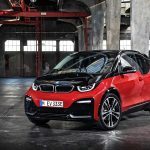 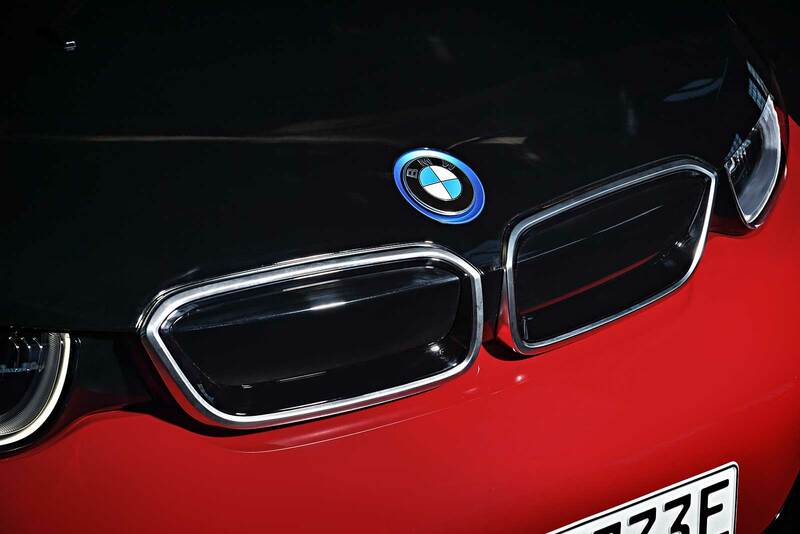 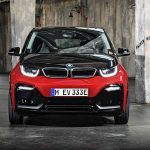 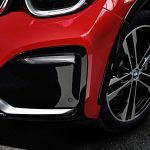 The accent in the closed BMW kidney grille is also painted in high-gloss black on the BMW i3s to give the grille a larger and more prominent appearance. 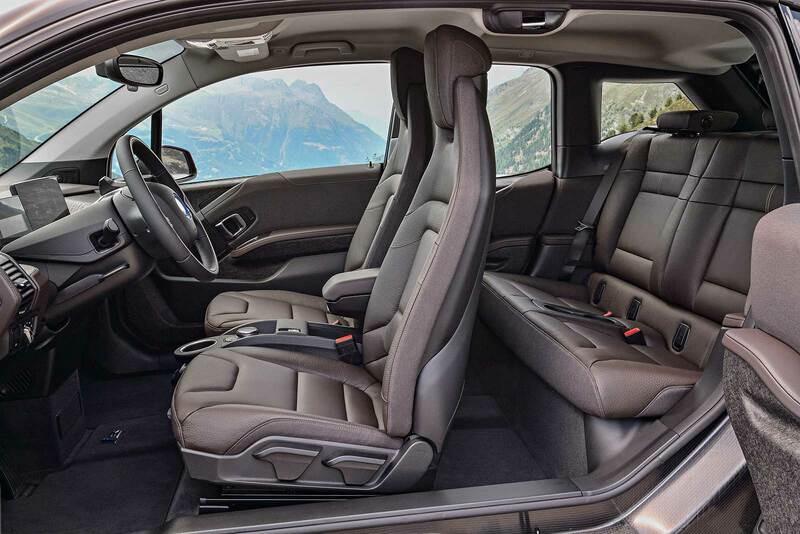 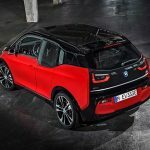 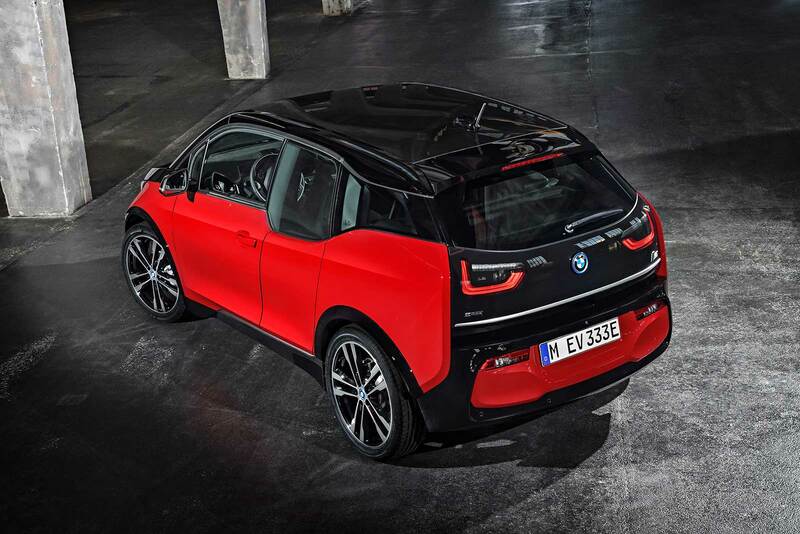 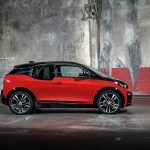 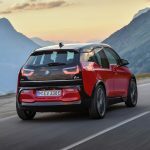 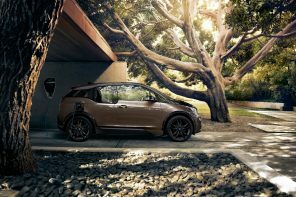 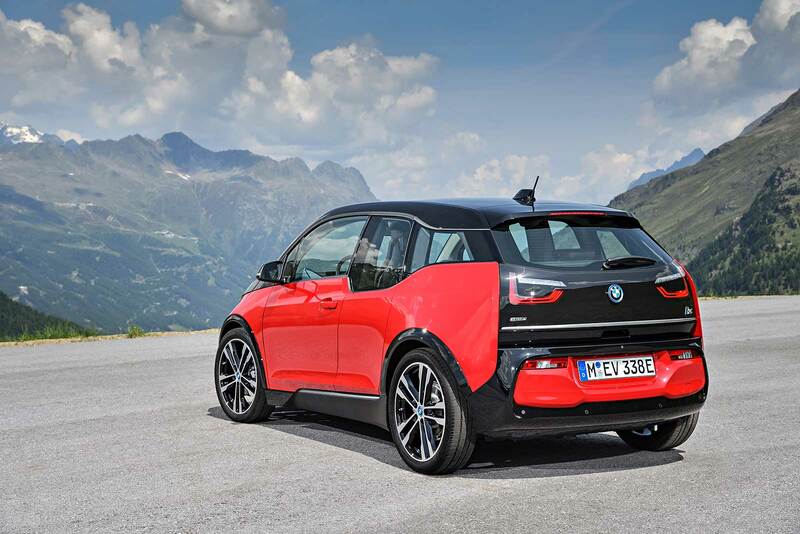 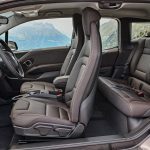 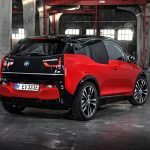 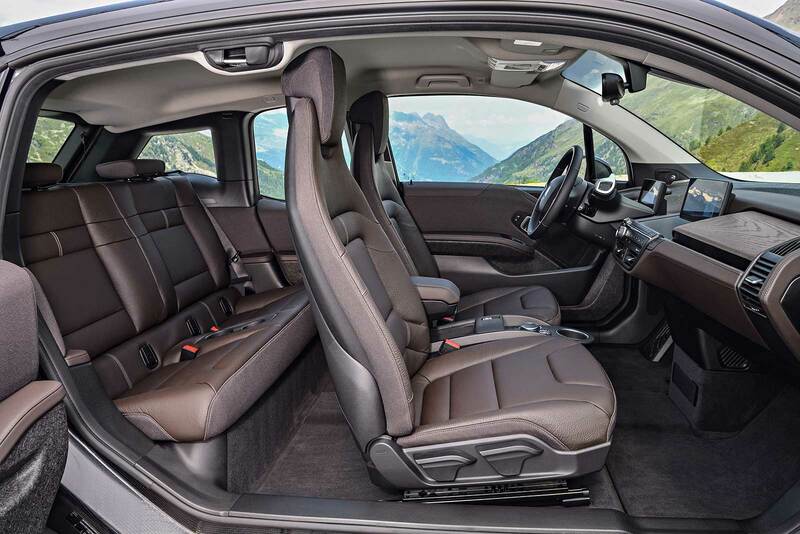 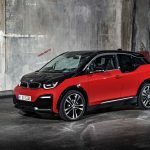 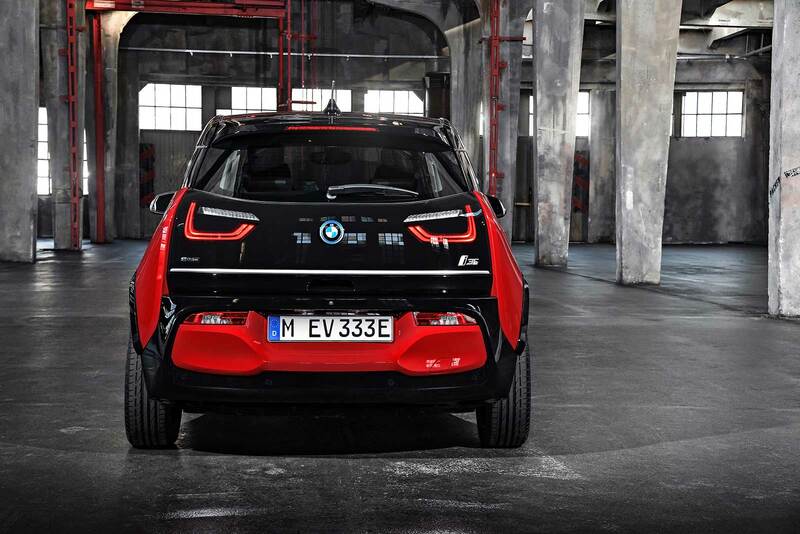 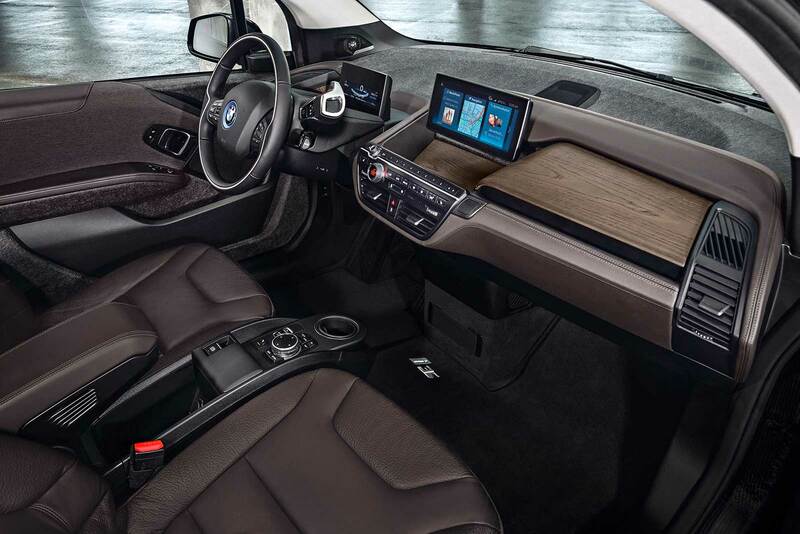 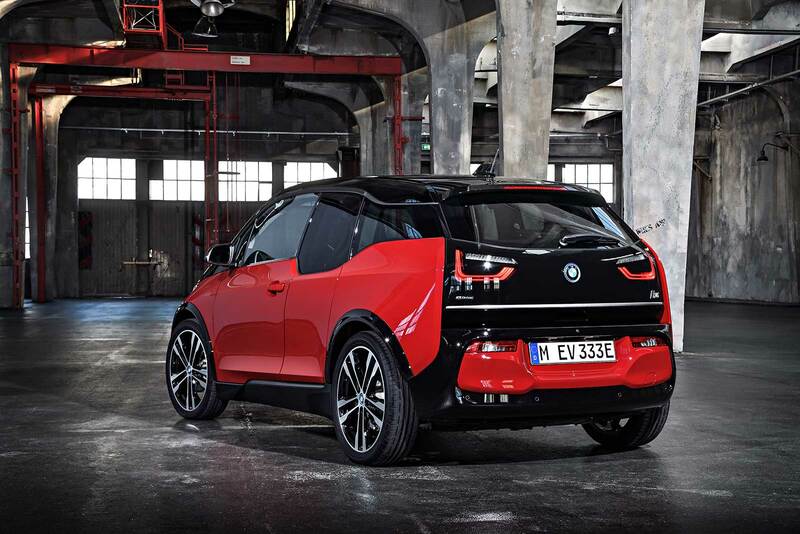 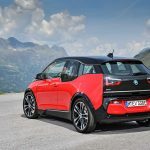 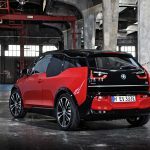 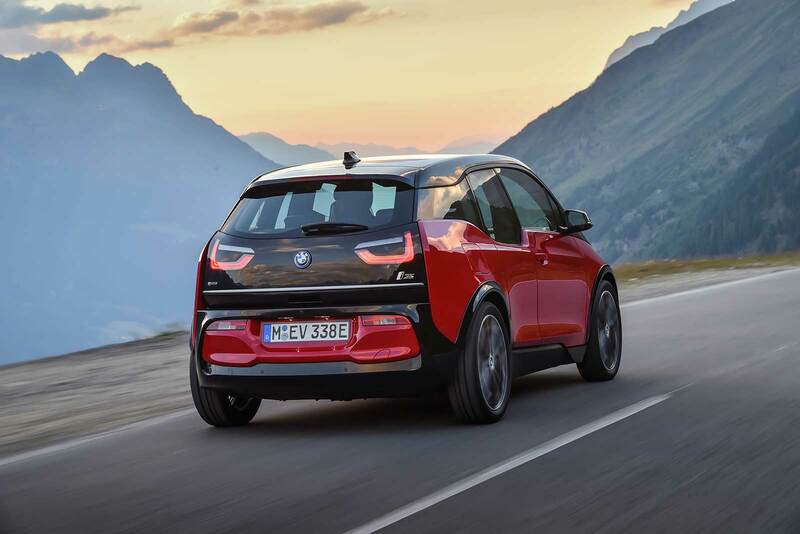 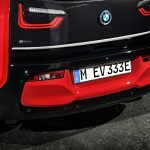 The rear apron of the new BMW i3s is likewise composed of individually styled contours, while the black surround frames an extra-wide, body-coloured inlay. 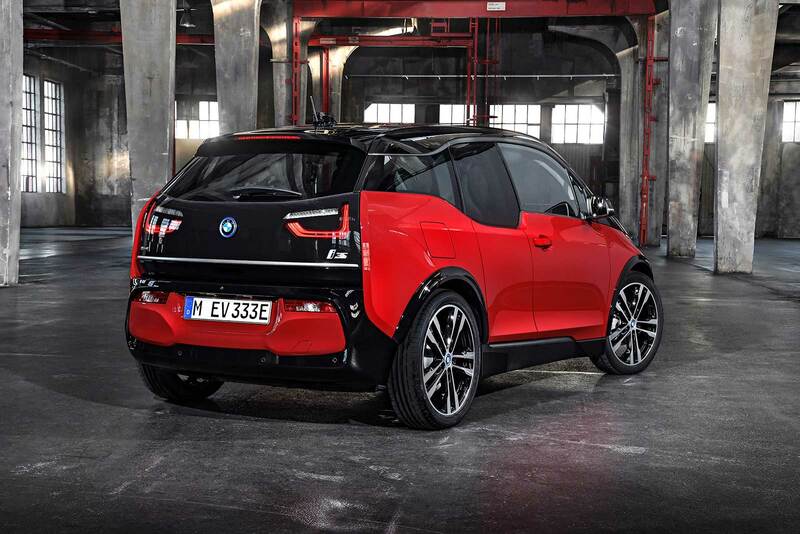 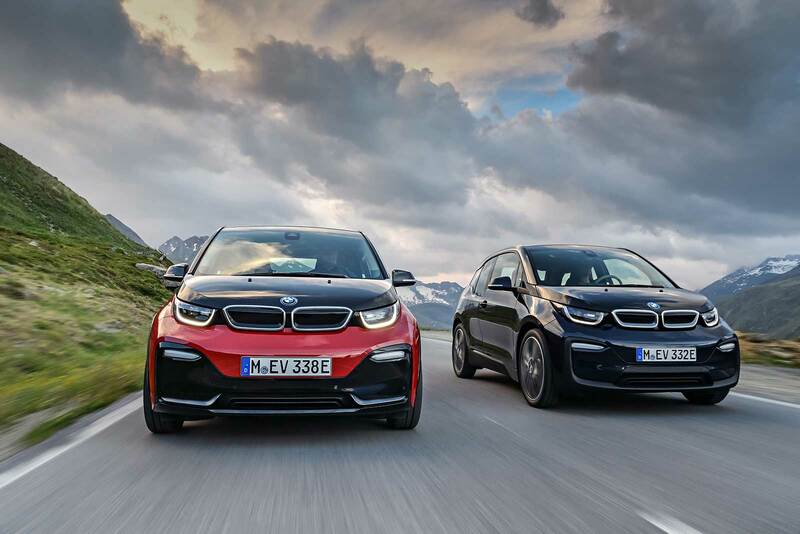 On the new BMW i3s, the roof line accent also sports the same high-gloss black finish as the A-pillars.